Allergic reaction makes me more lovable. 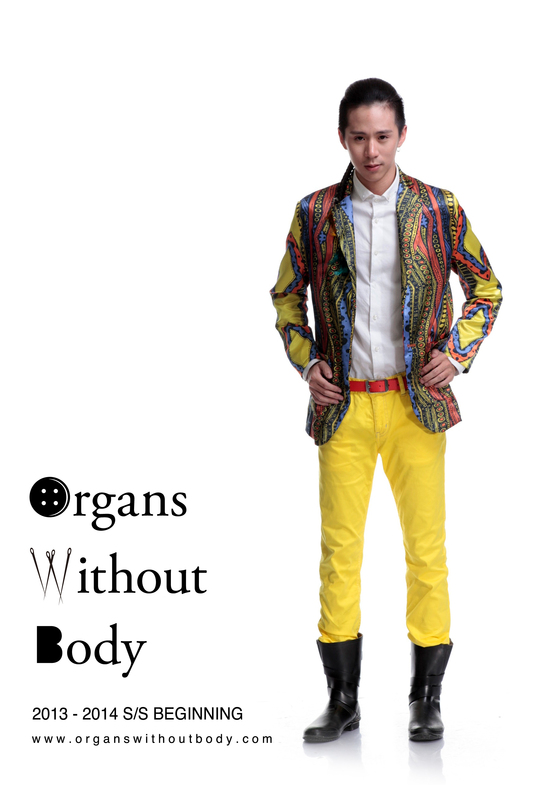 Fashion system is responsible for defending the bad taste or it causes an allergic reaction. 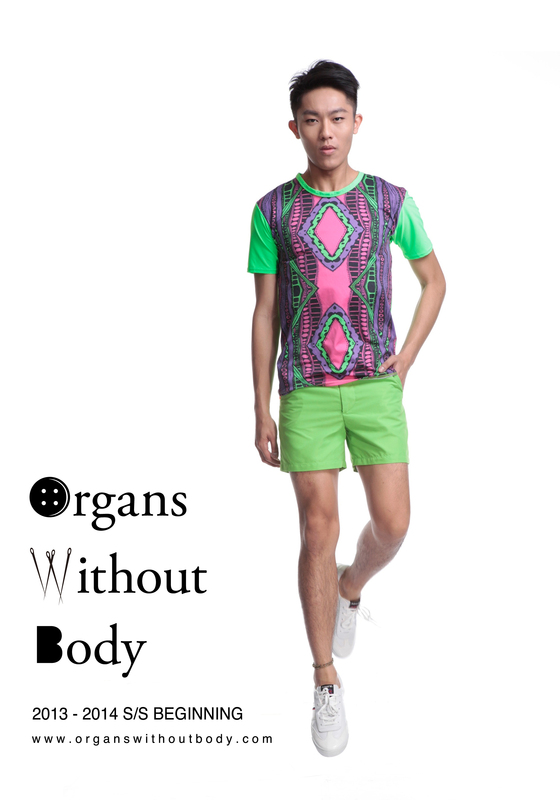 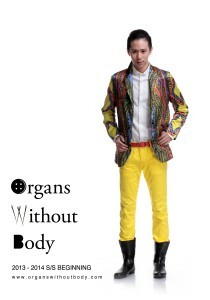 In fashion cases, cloth system will defend bad taste that typically don’t pose a threat to the human body. Designer can use their design works to diagnose allergies, and can even inject them into your body as a form of treatment. 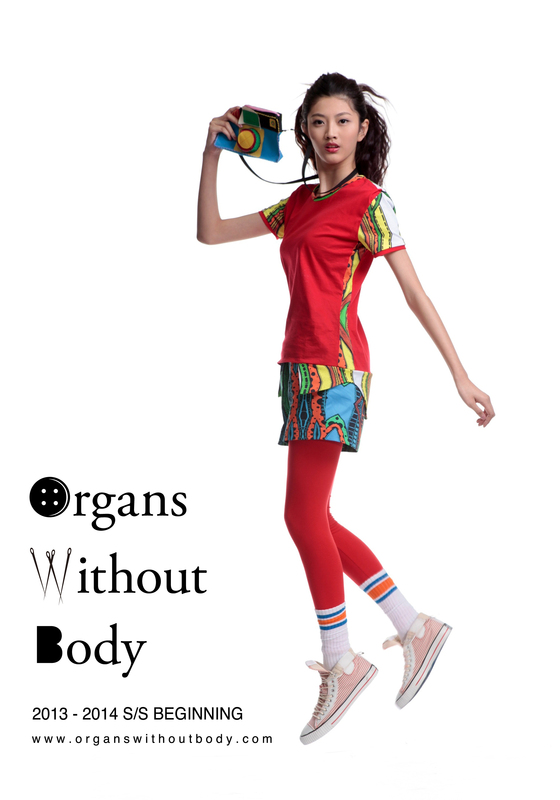 This series, the feature is to convert these artists organics paintings, used in apparel fabrics and structures, and garment to the continued growth of the life forms. 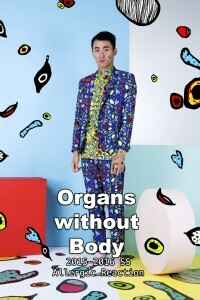 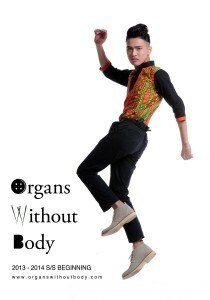 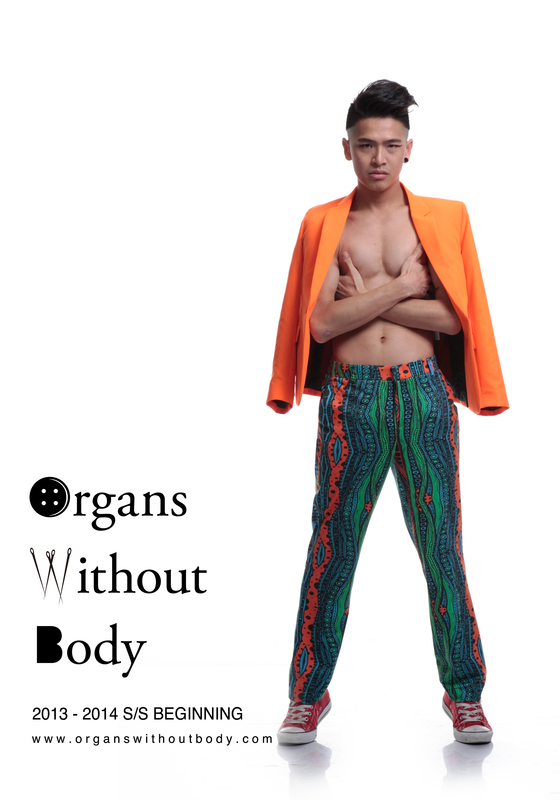 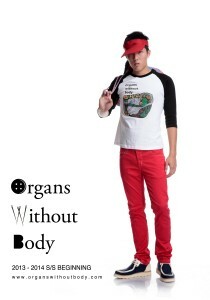 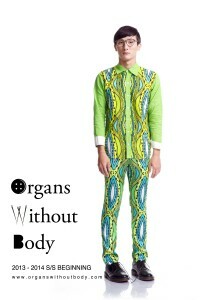 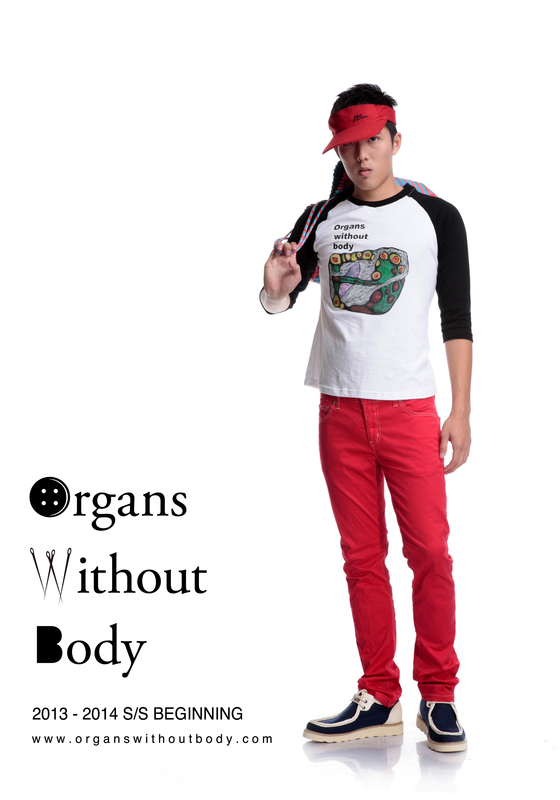 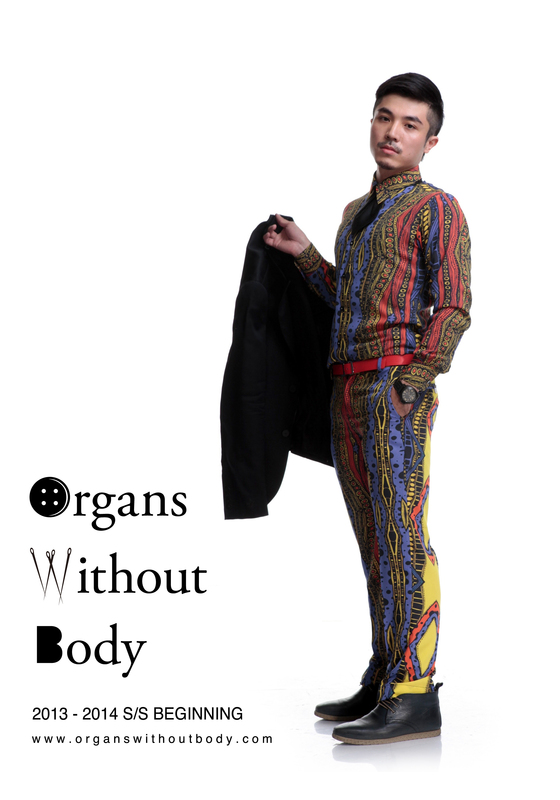 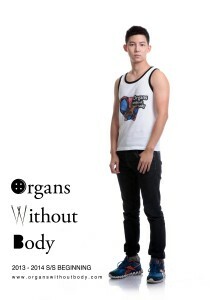 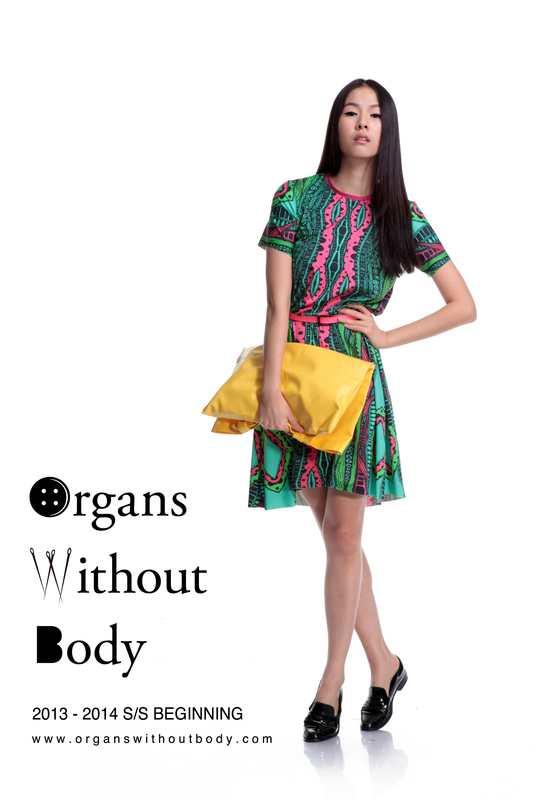 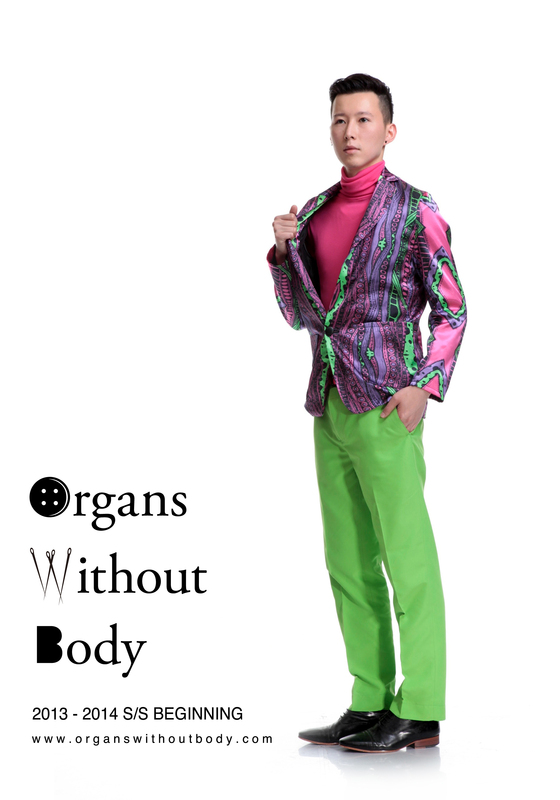 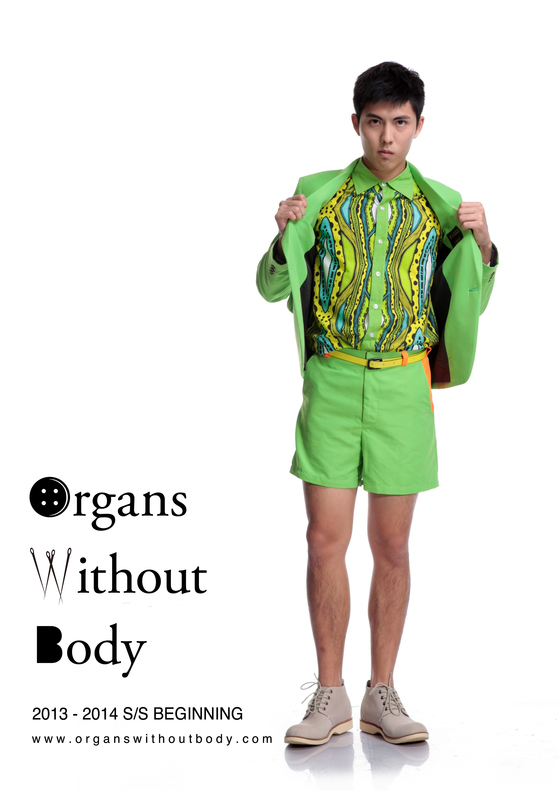 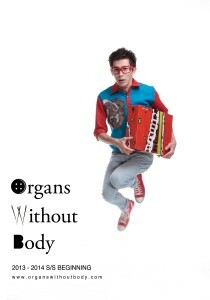 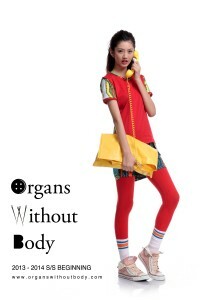 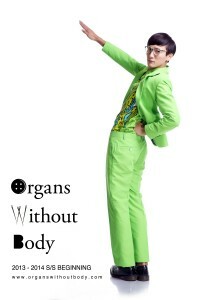 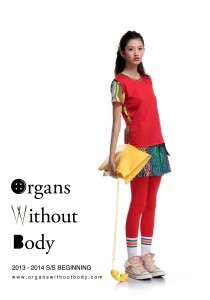 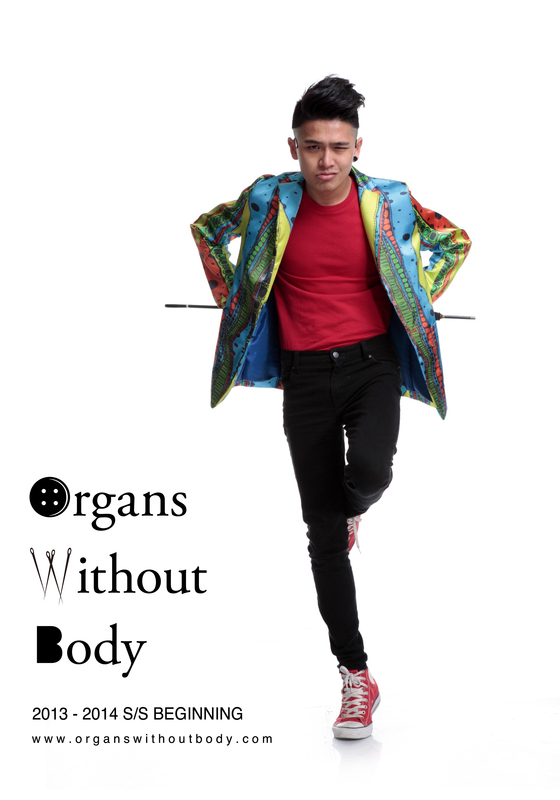 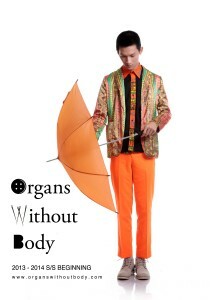 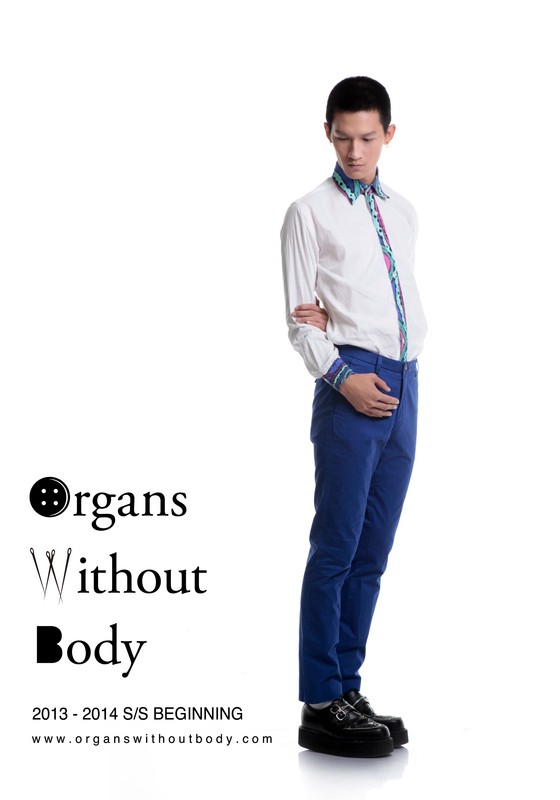 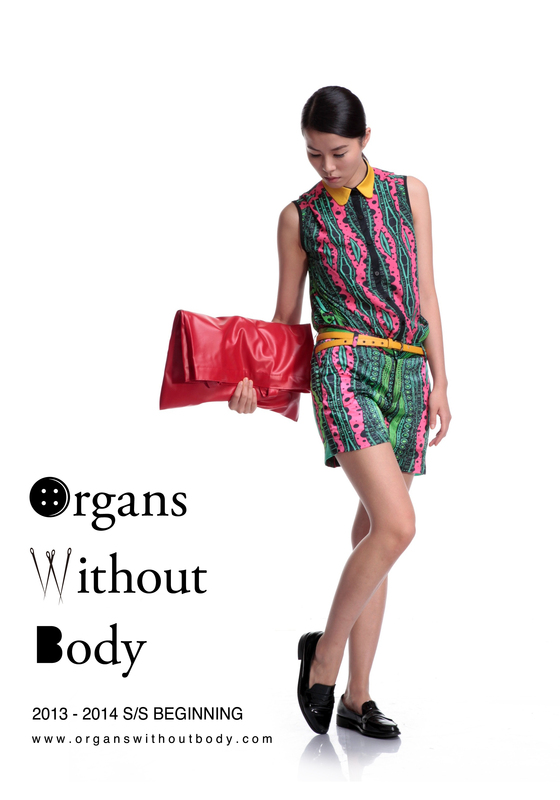 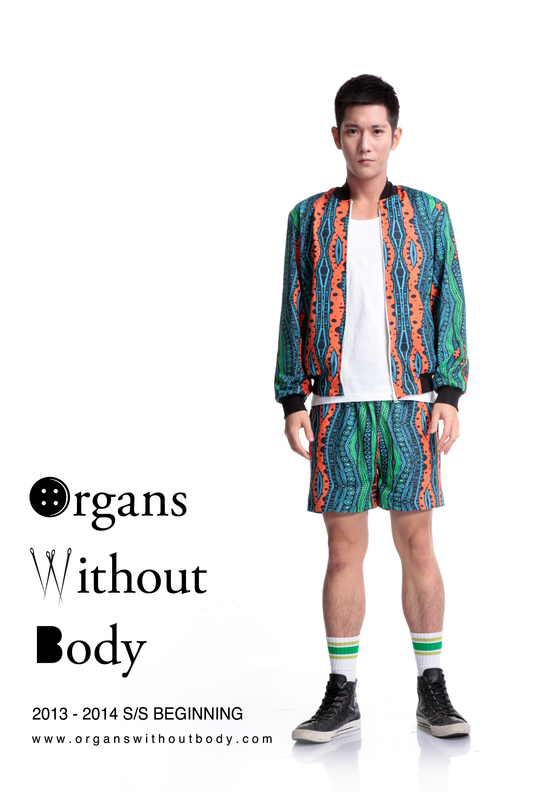 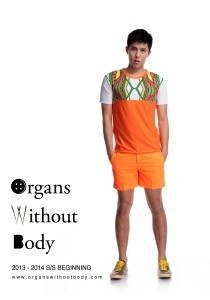 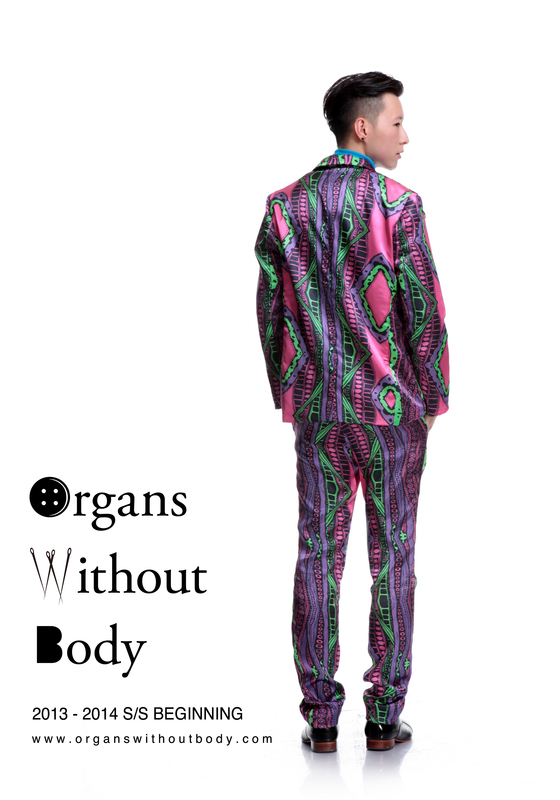 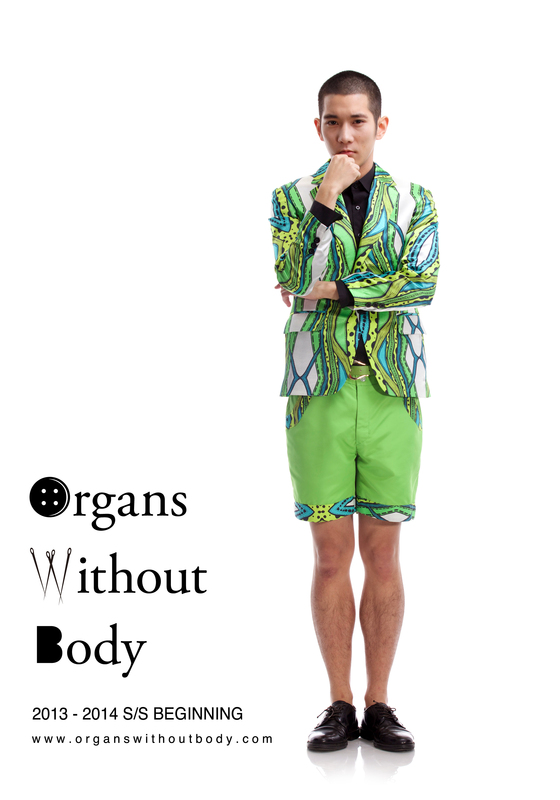 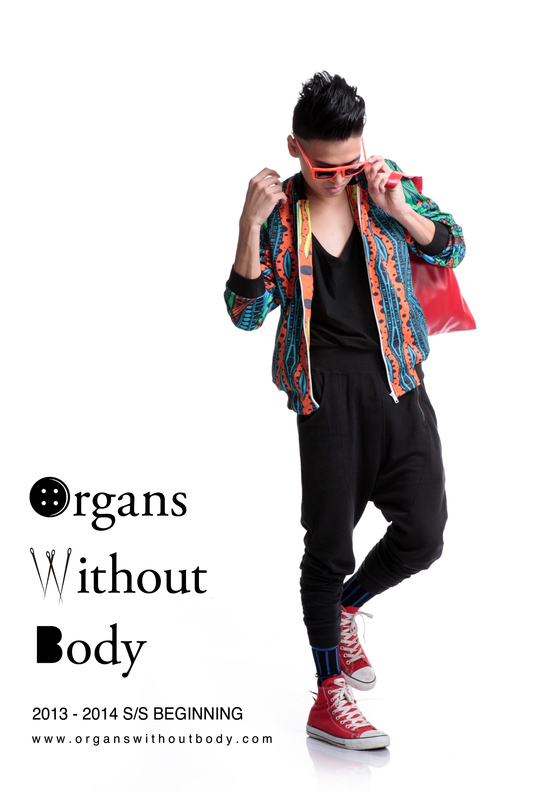 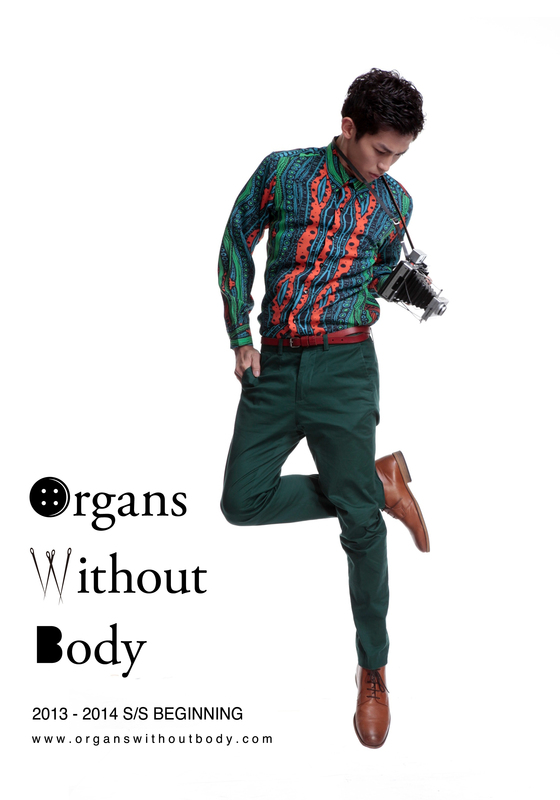 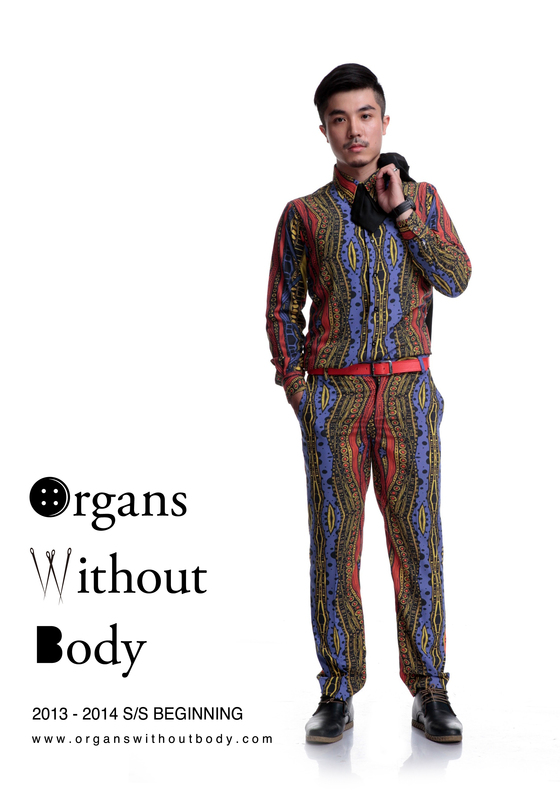 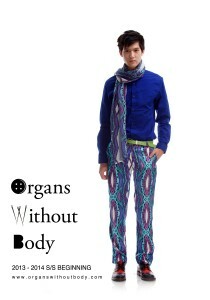 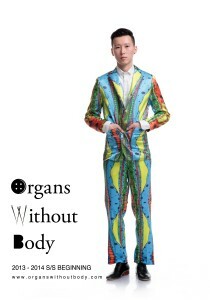 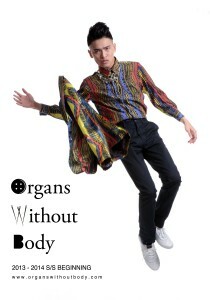 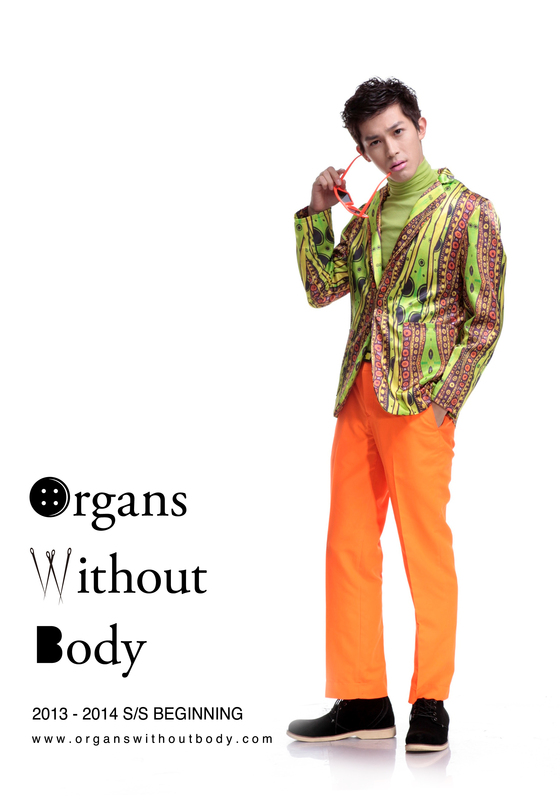 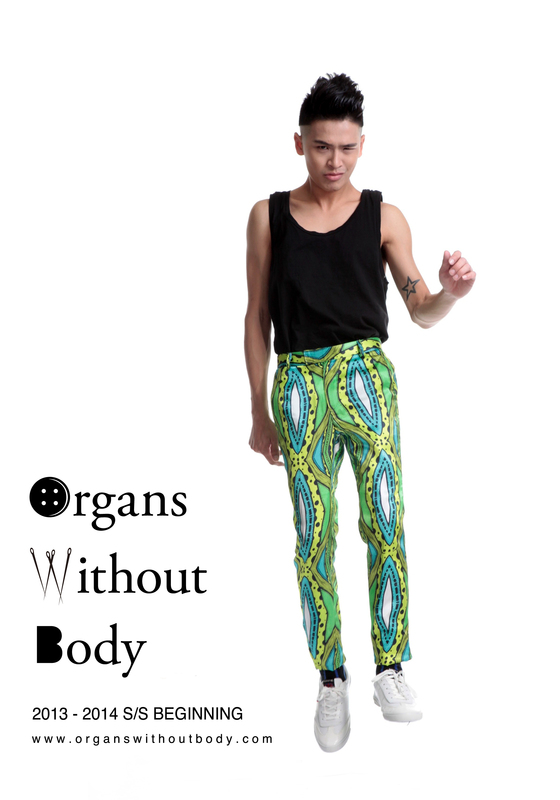 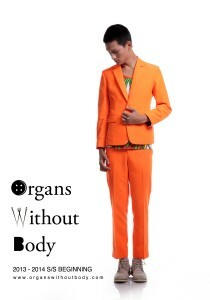 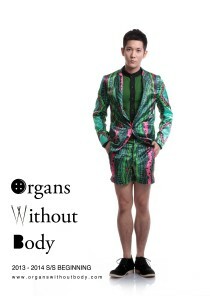 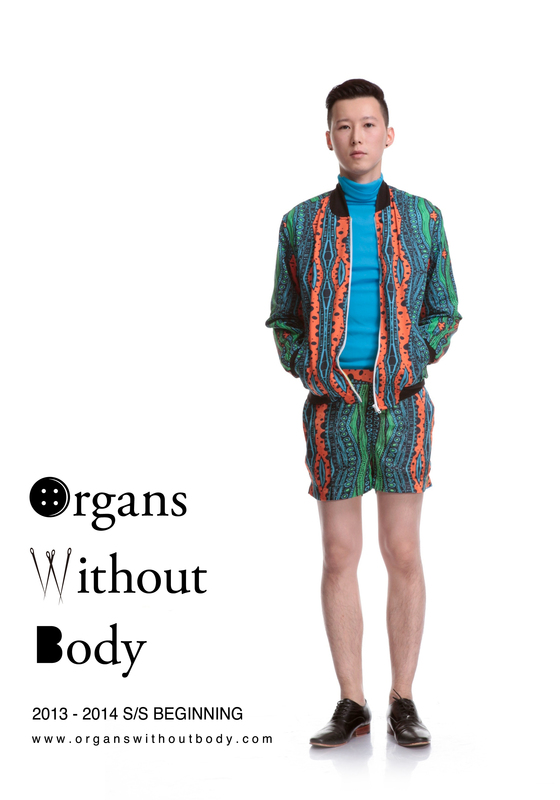 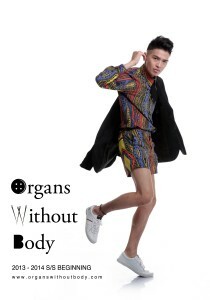 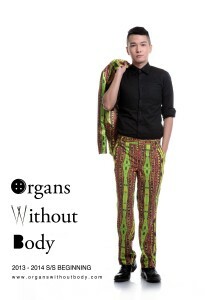 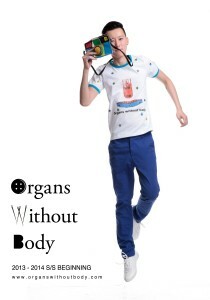 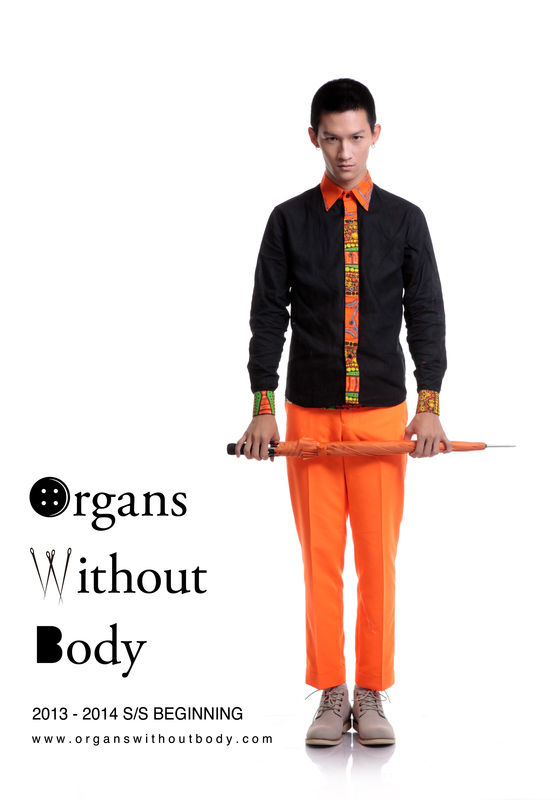 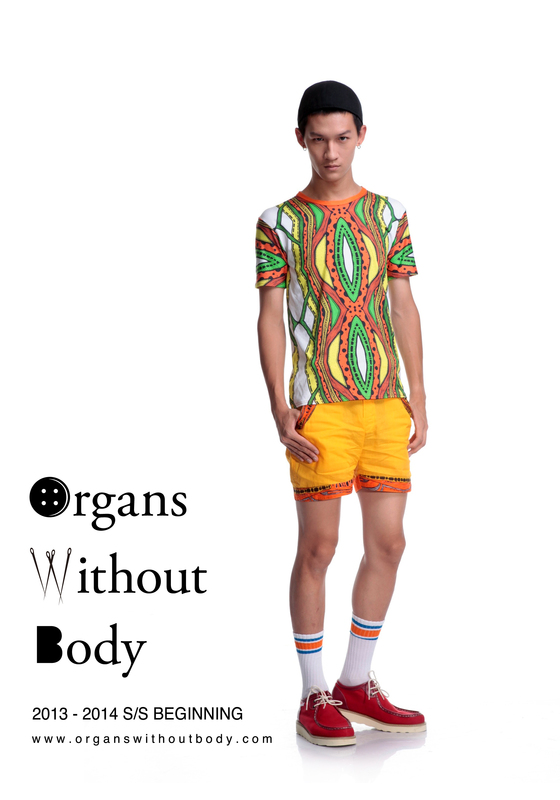 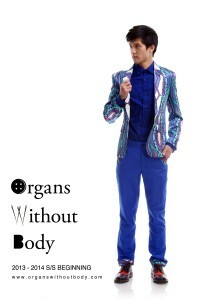 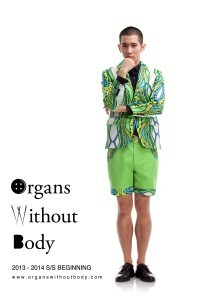 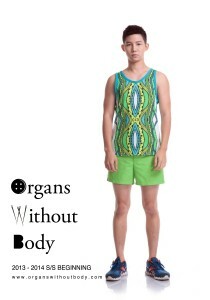 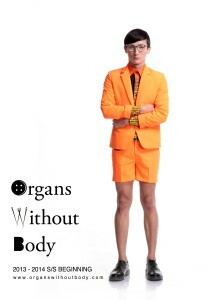 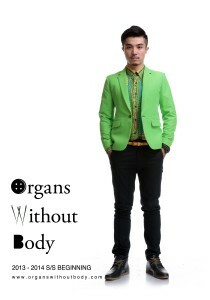 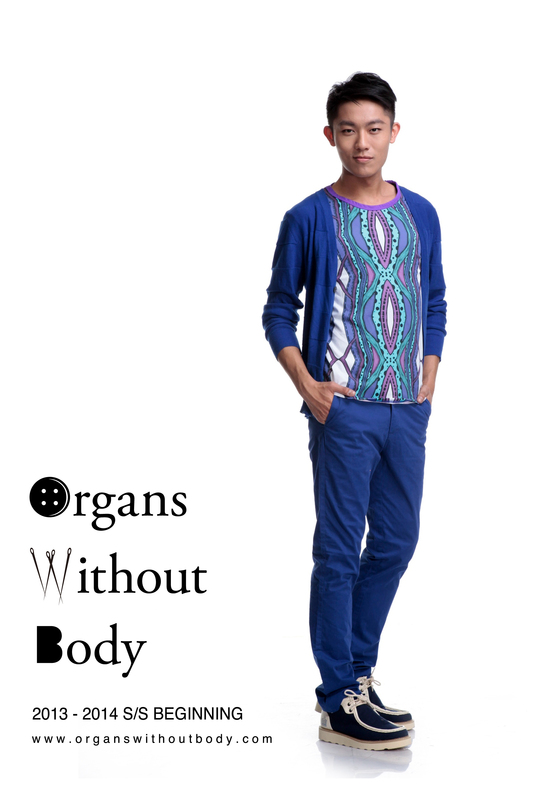 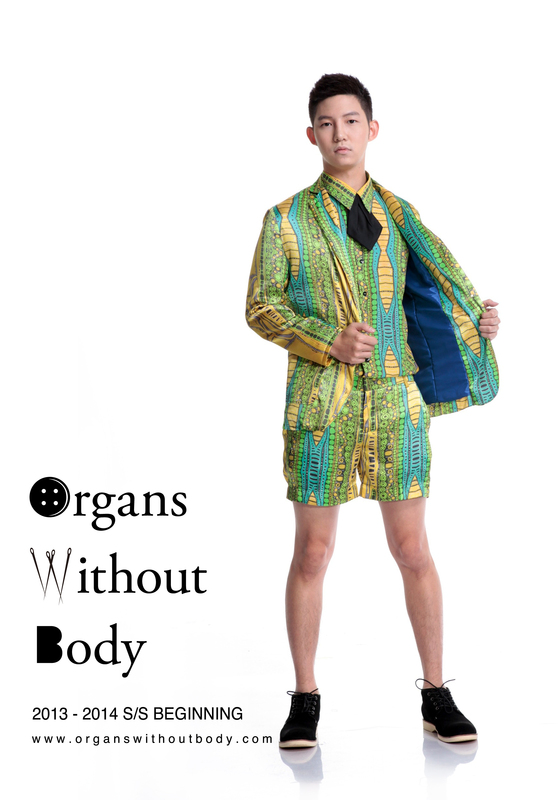 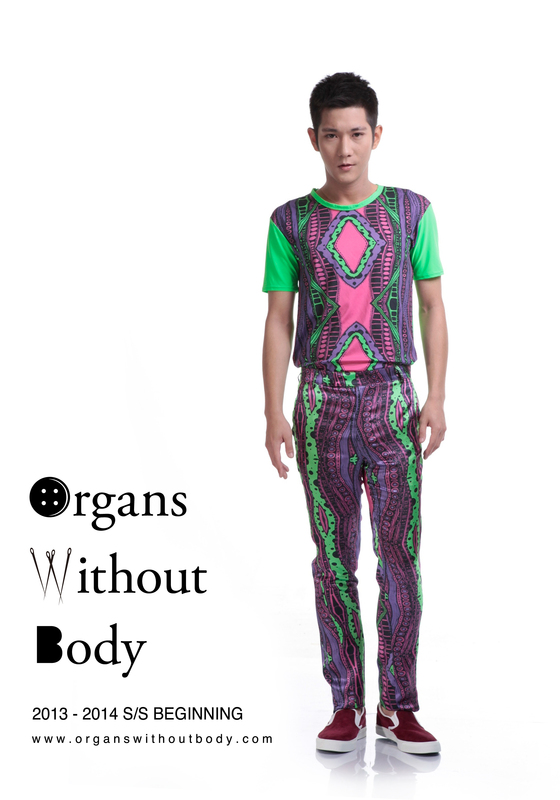 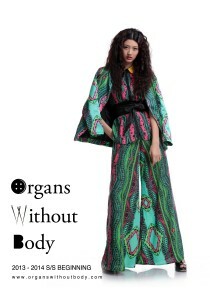 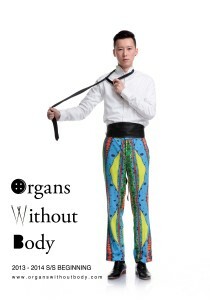 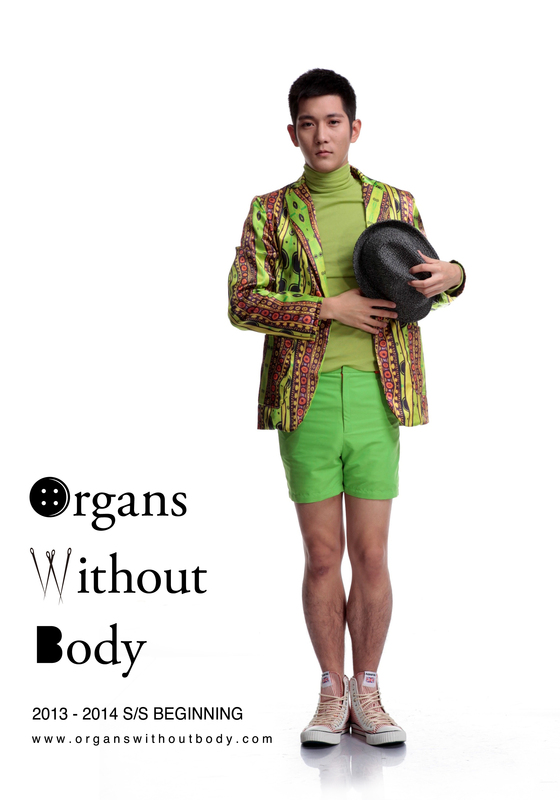 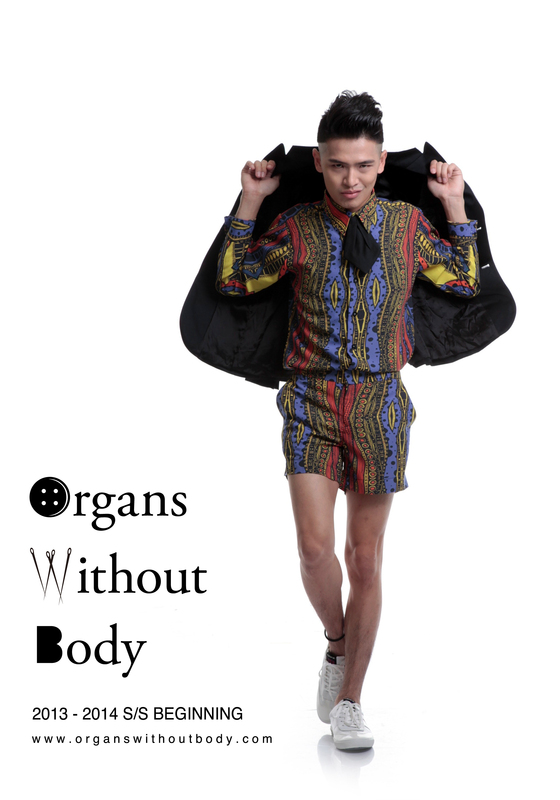 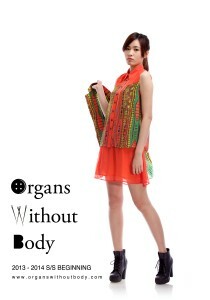 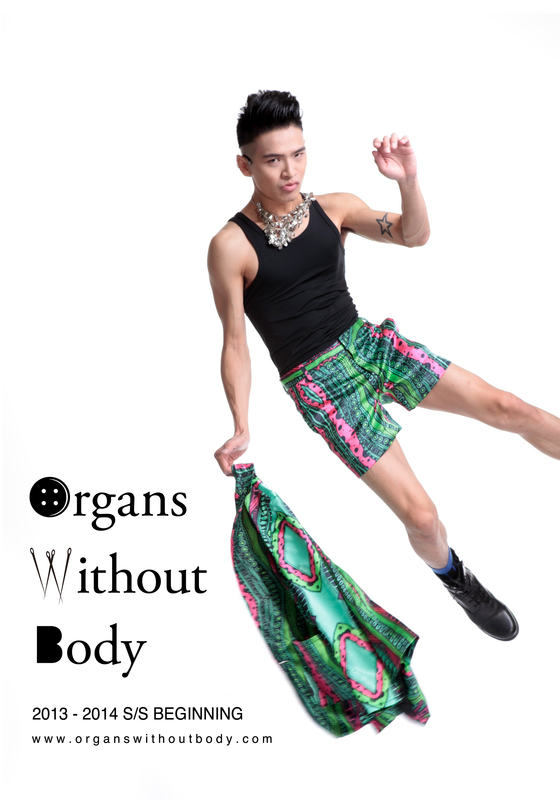 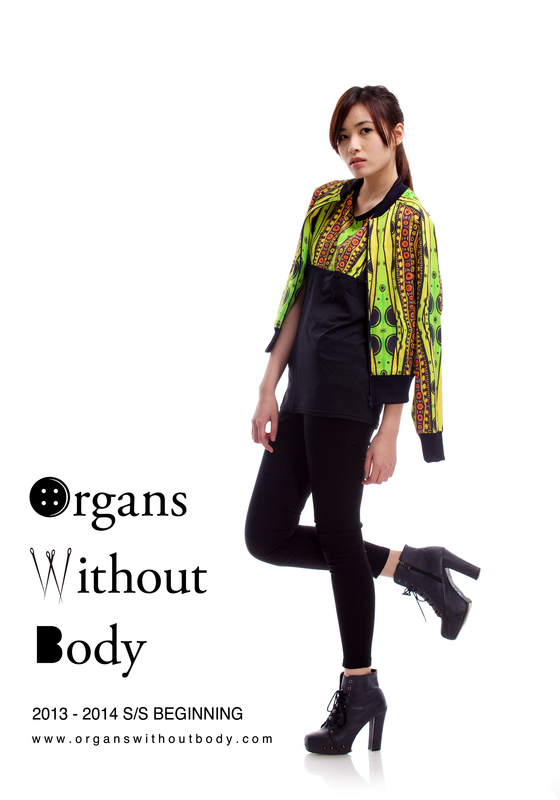 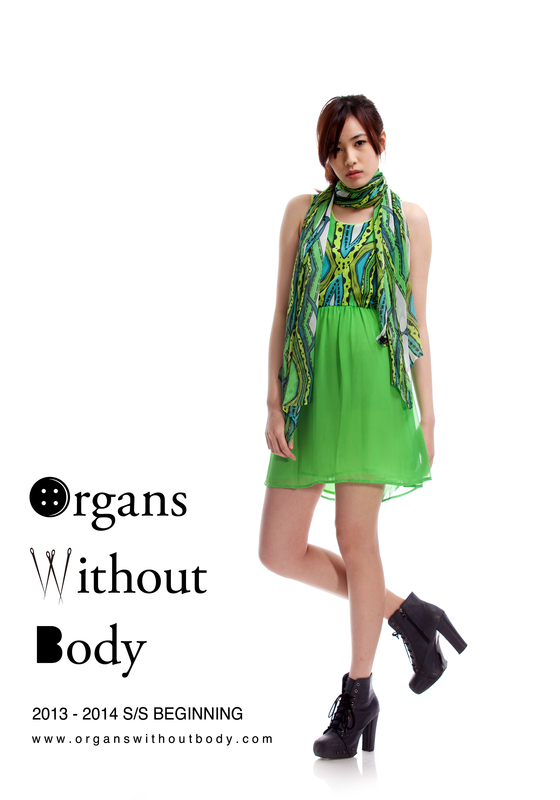 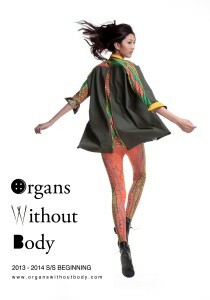 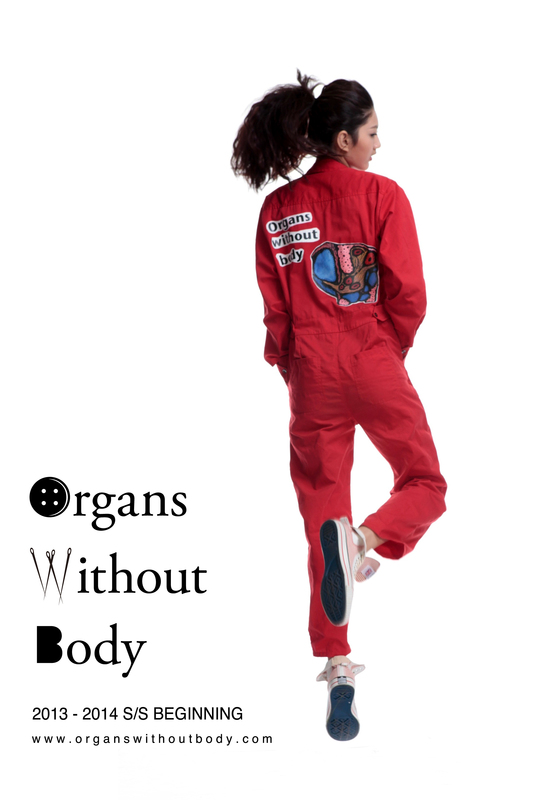 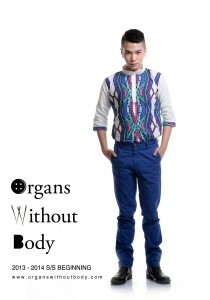 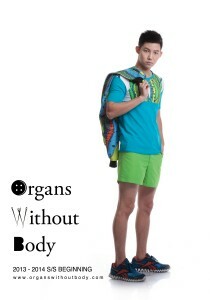 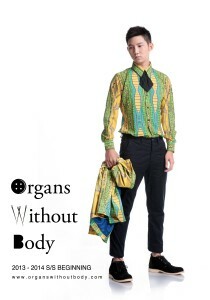 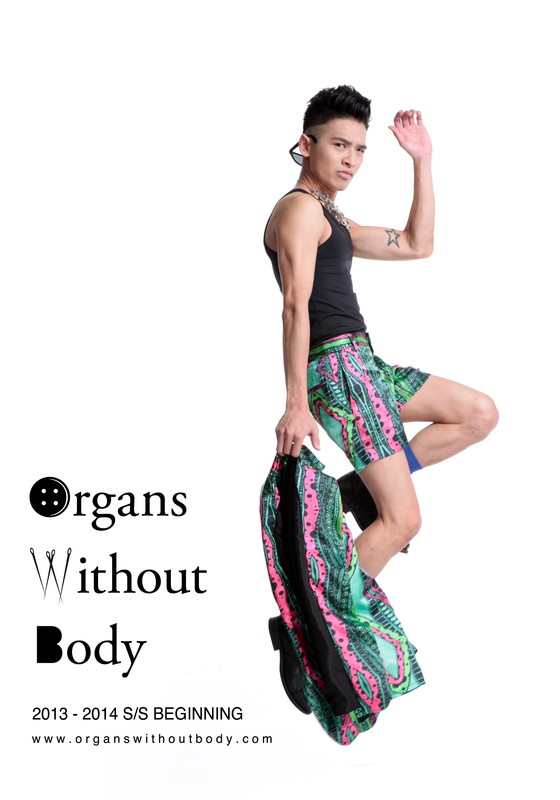 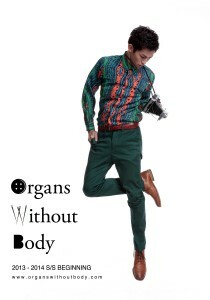 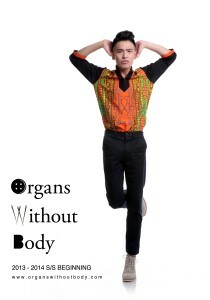 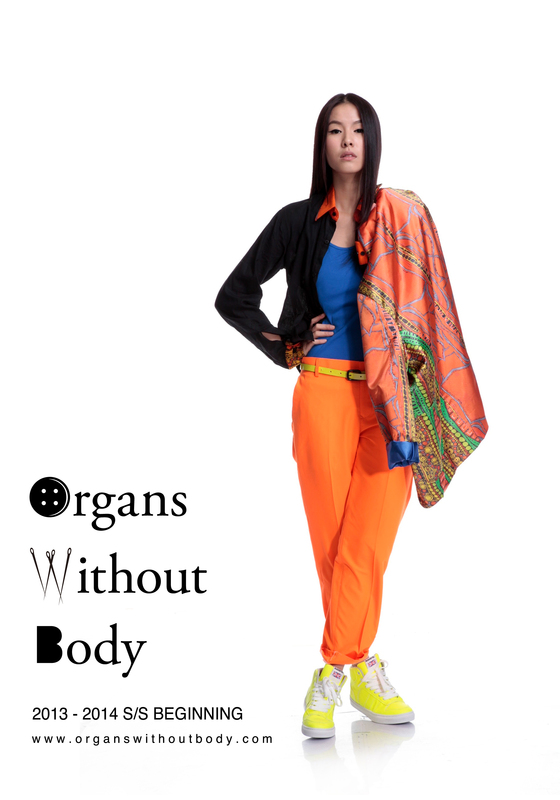 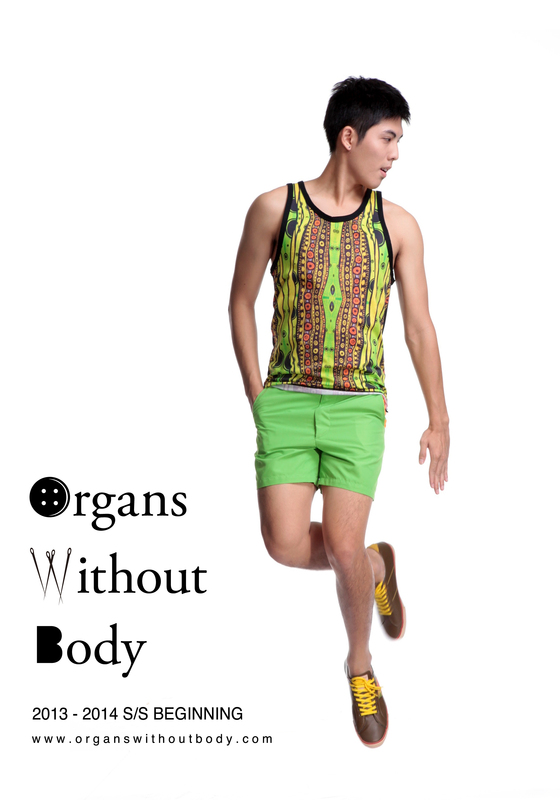 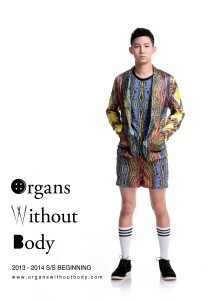 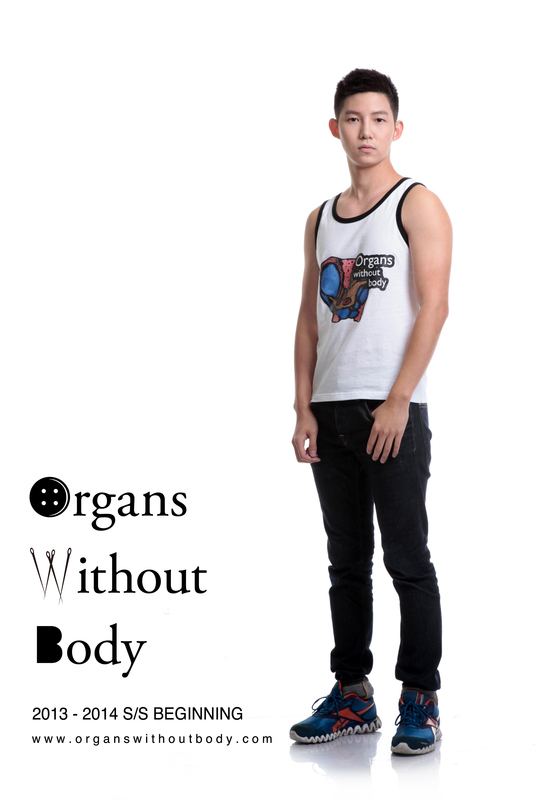 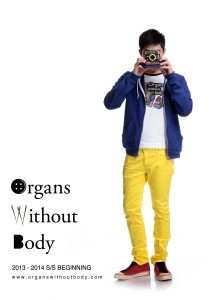 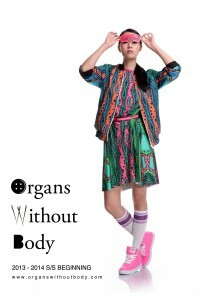 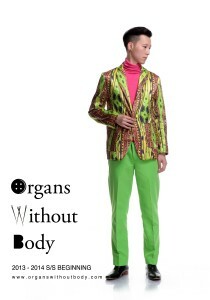 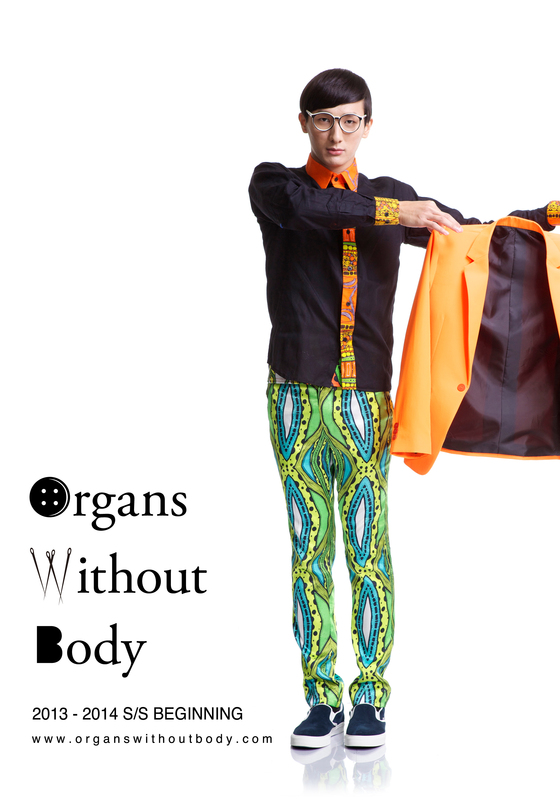 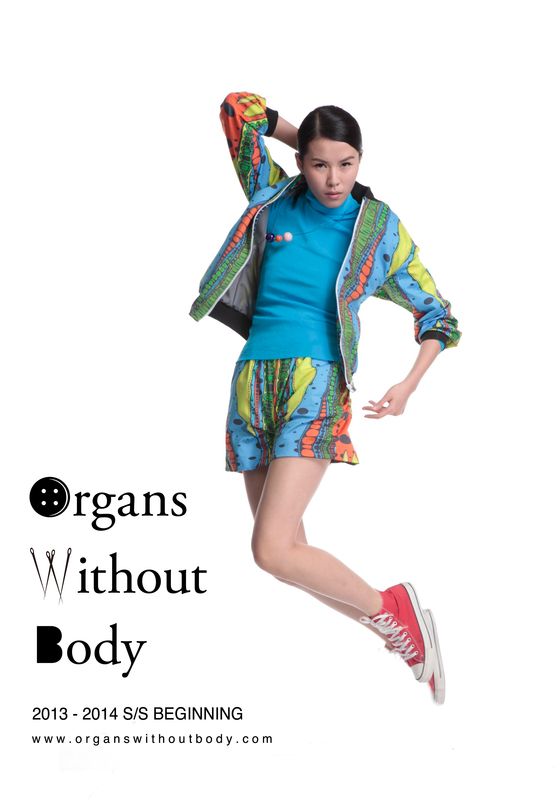 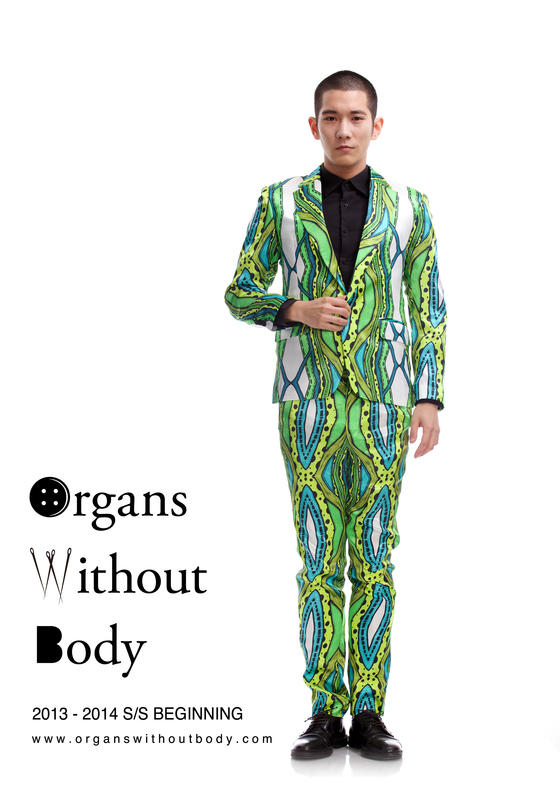 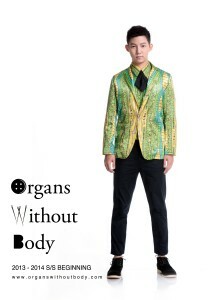 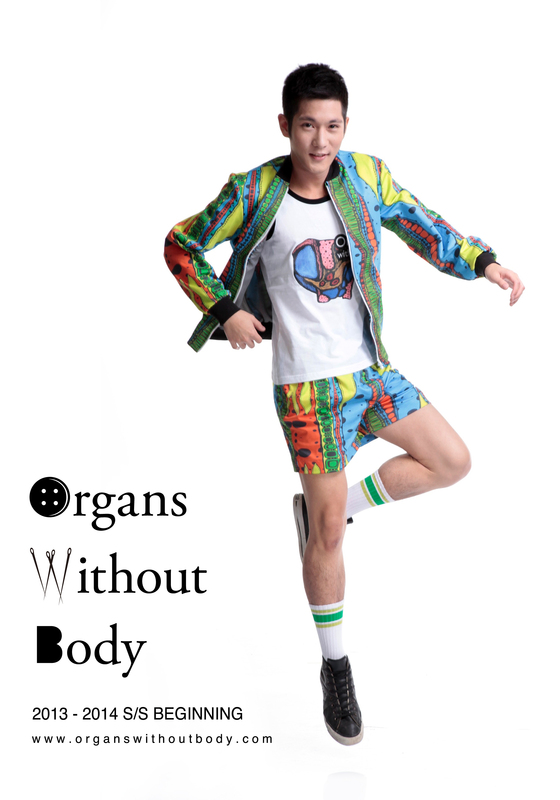 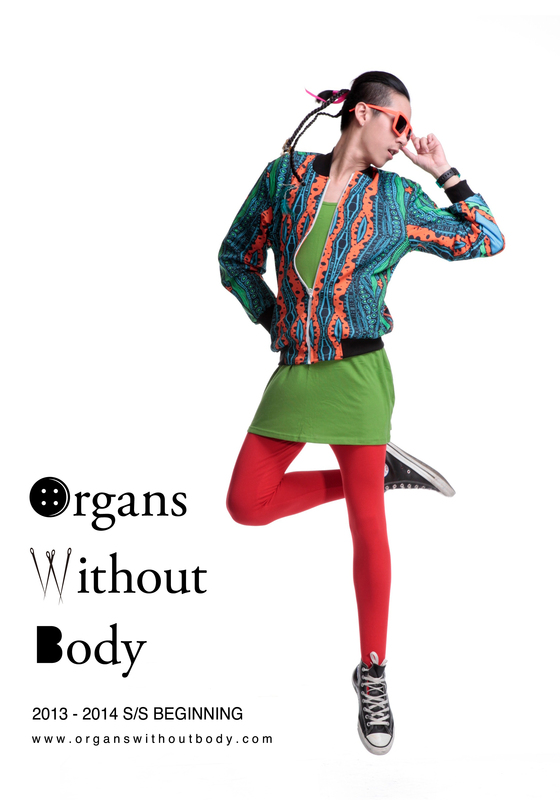 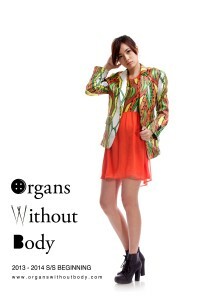 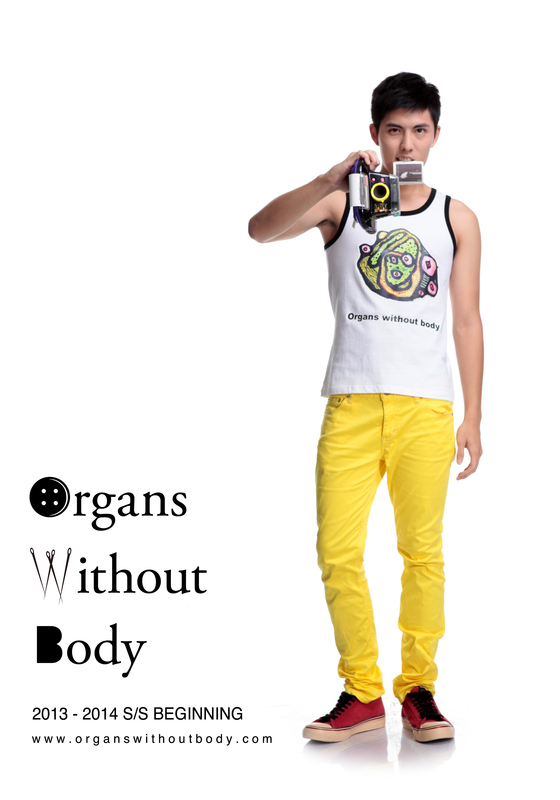 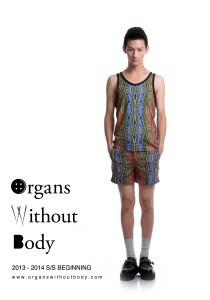 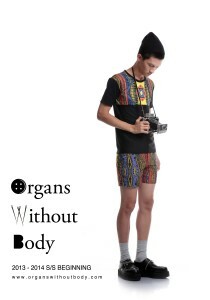 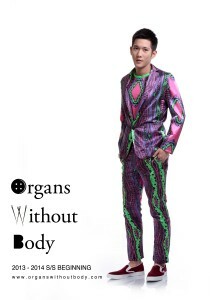 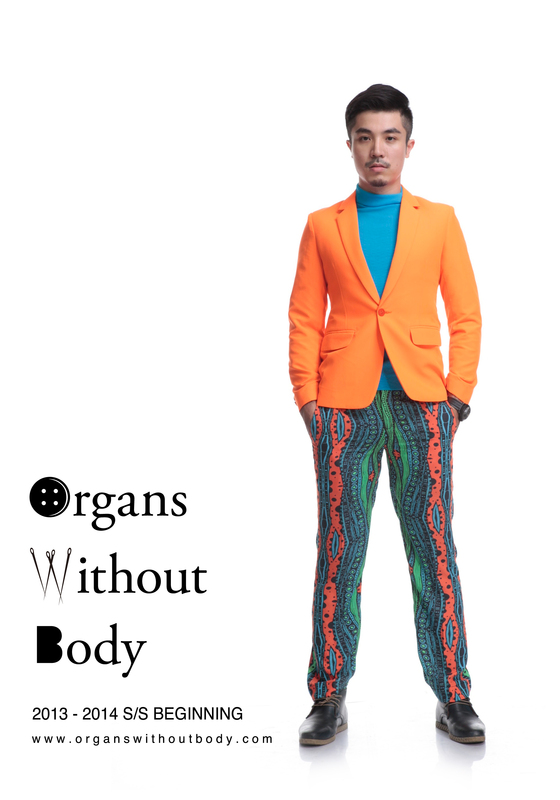 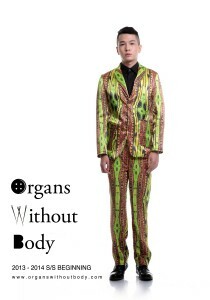 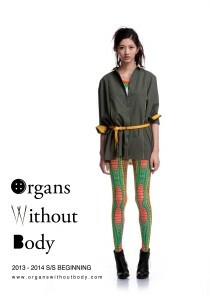 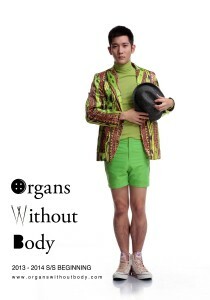 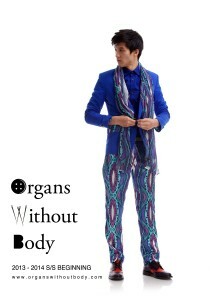 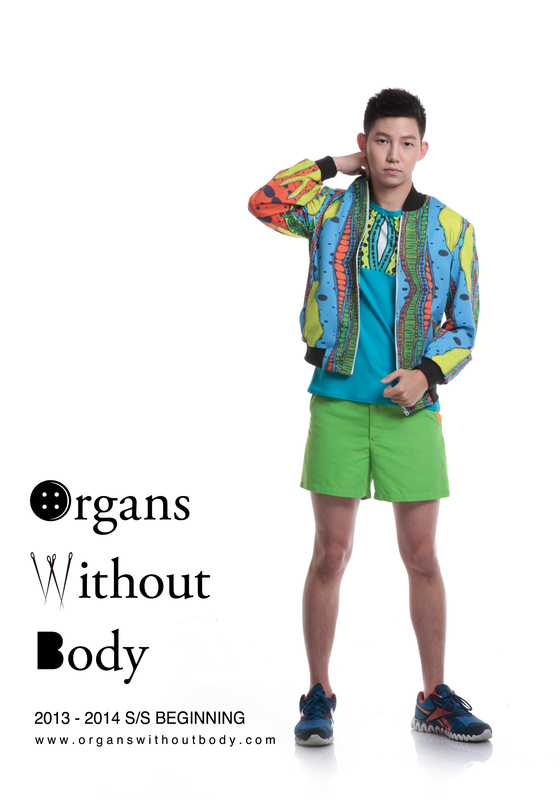 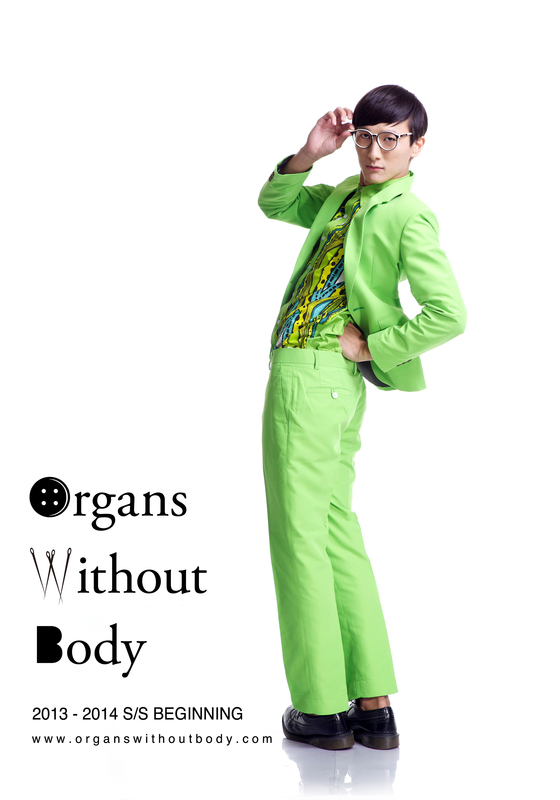 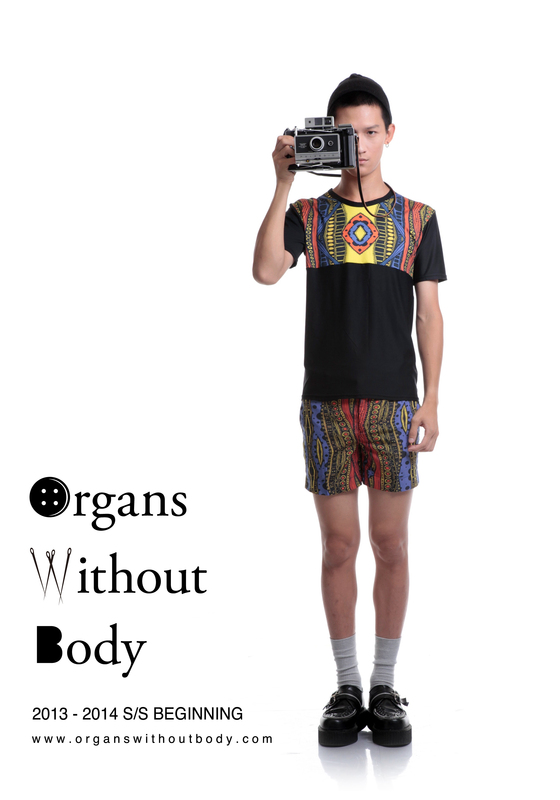 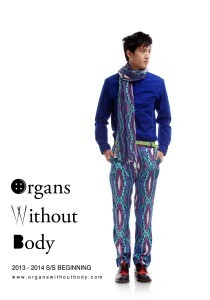 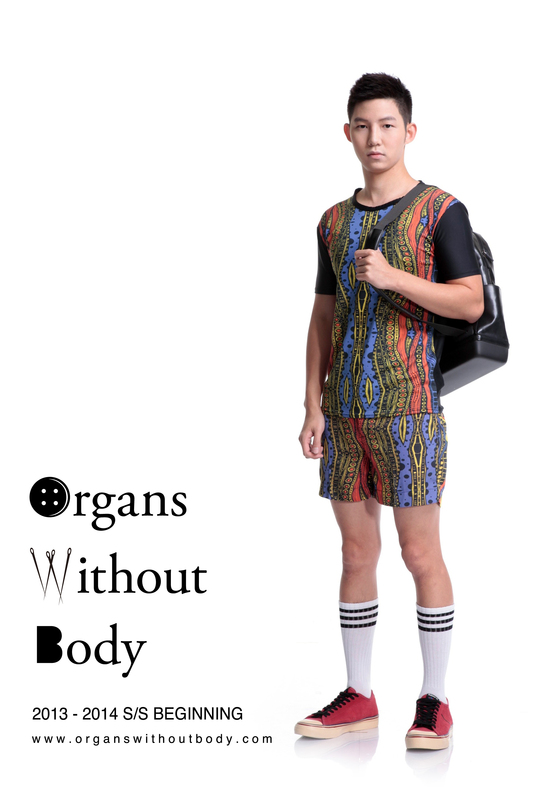 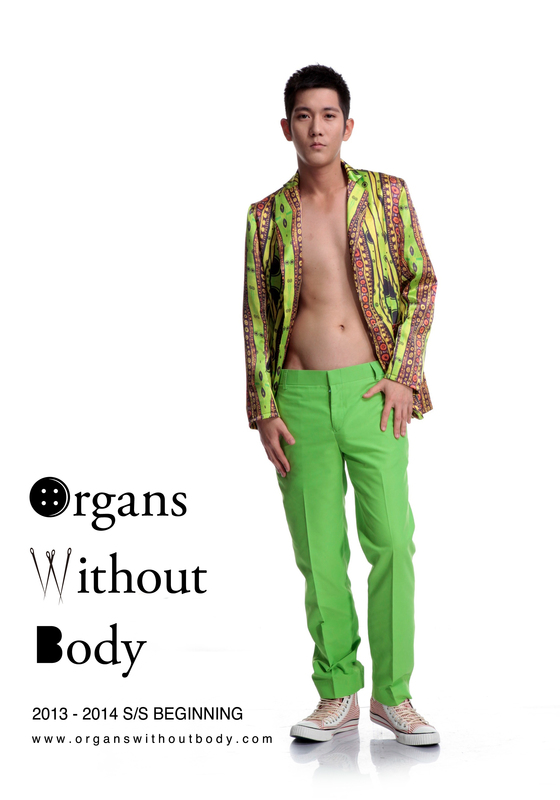 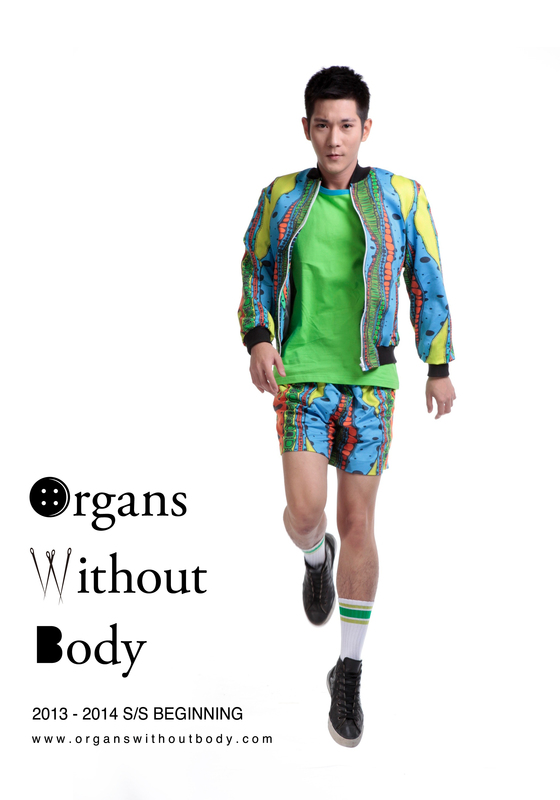 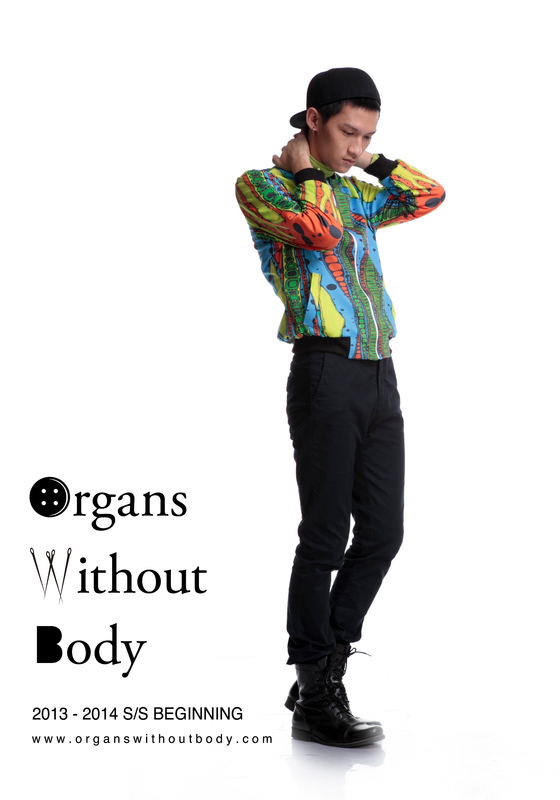 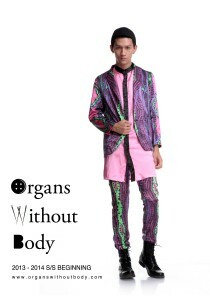 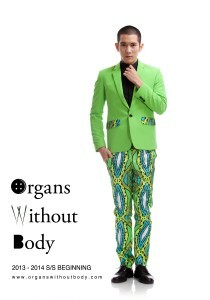 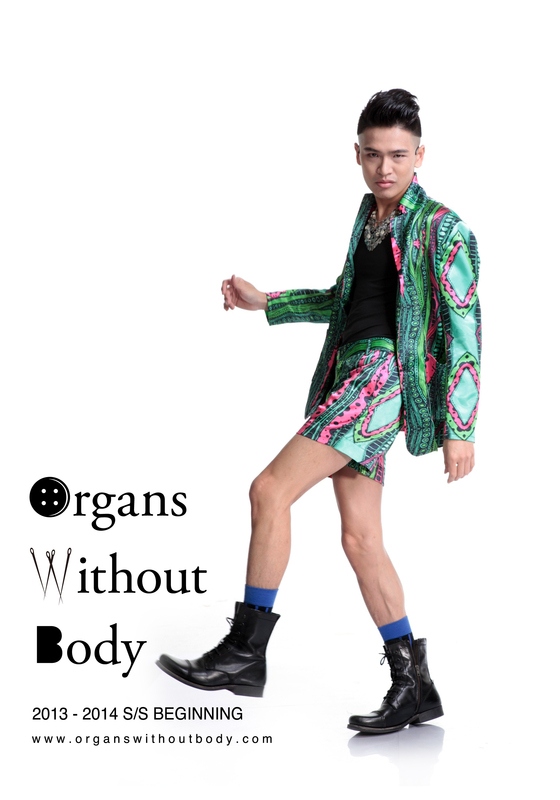 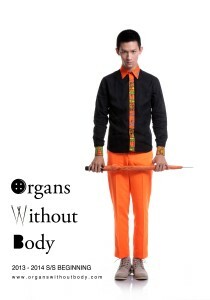 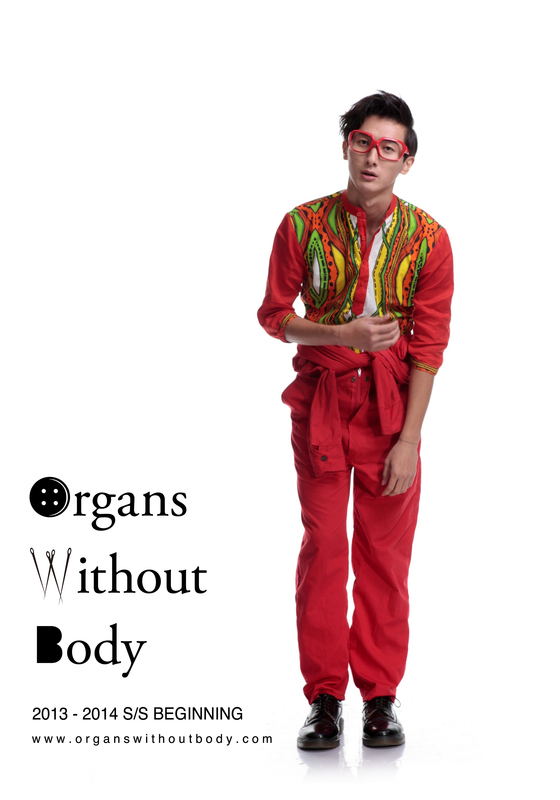 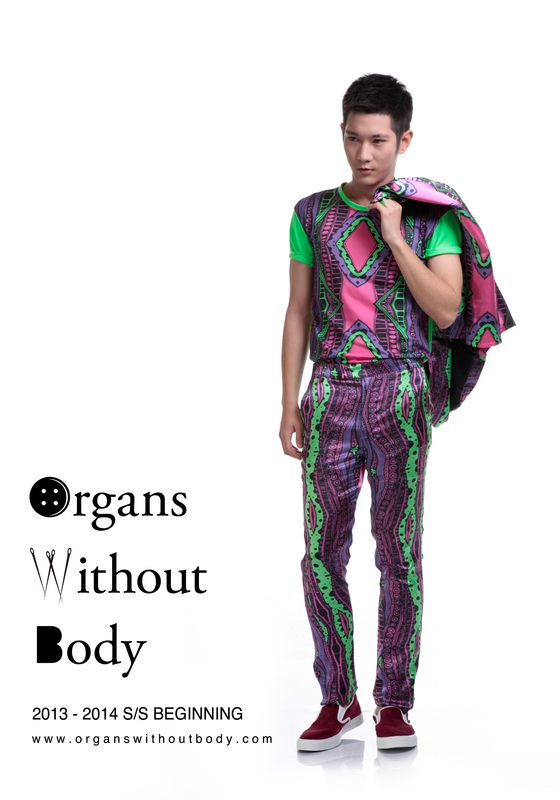 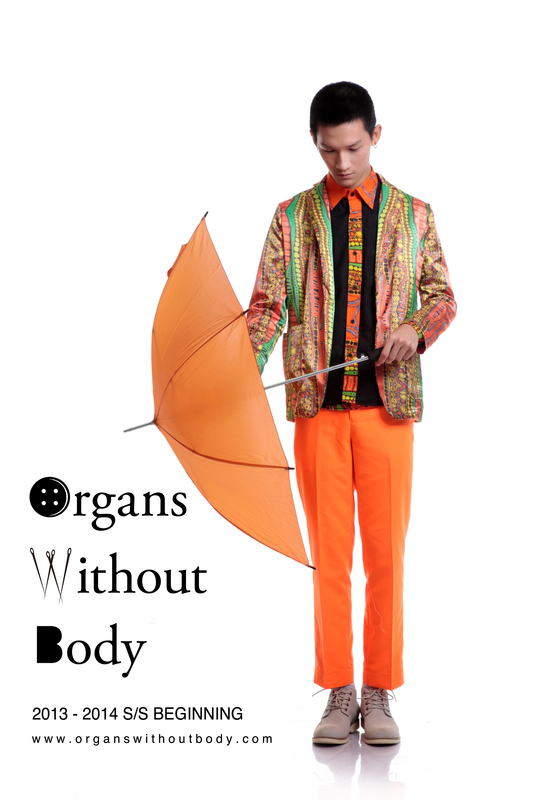 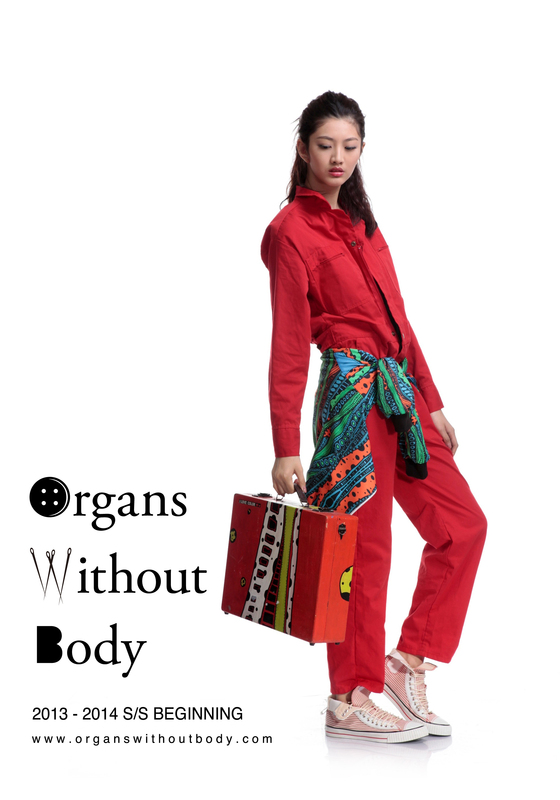 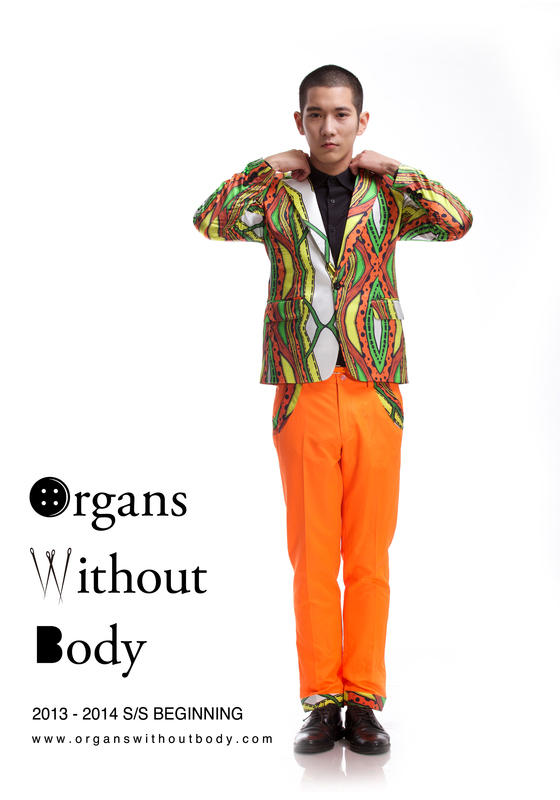 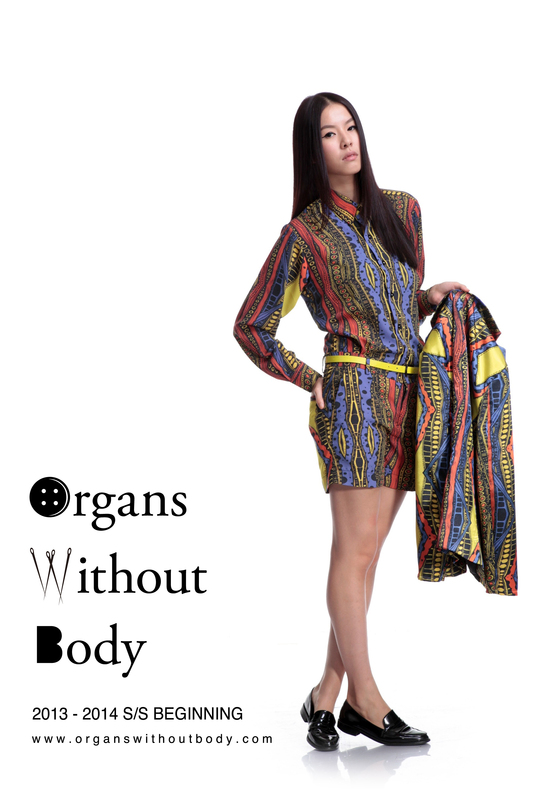 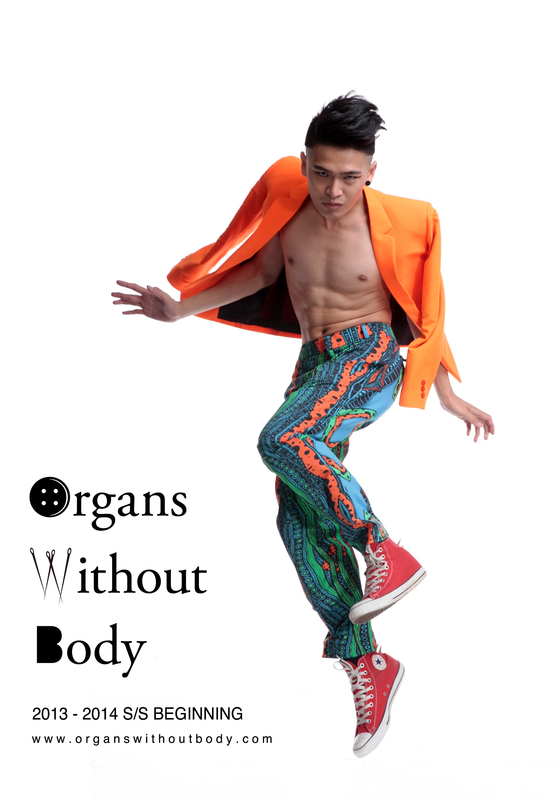 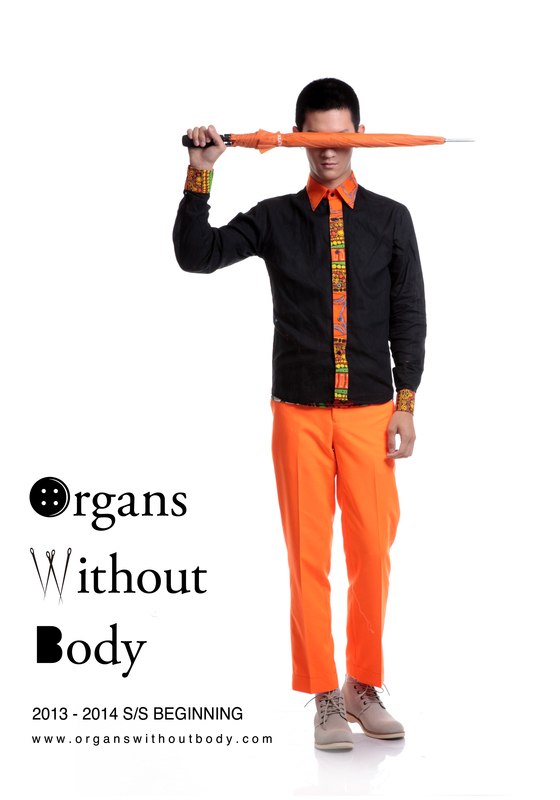 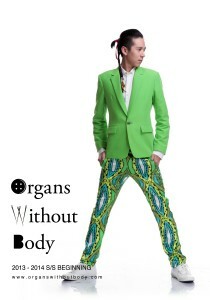 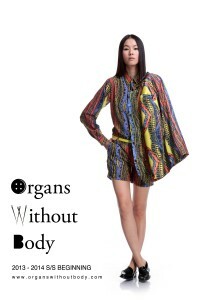 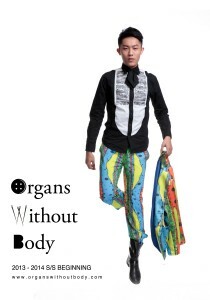 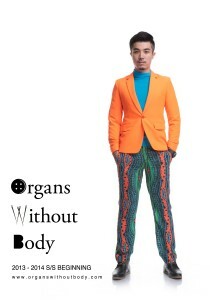 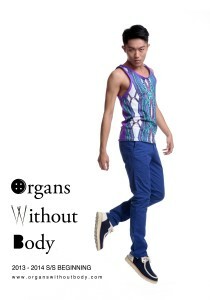 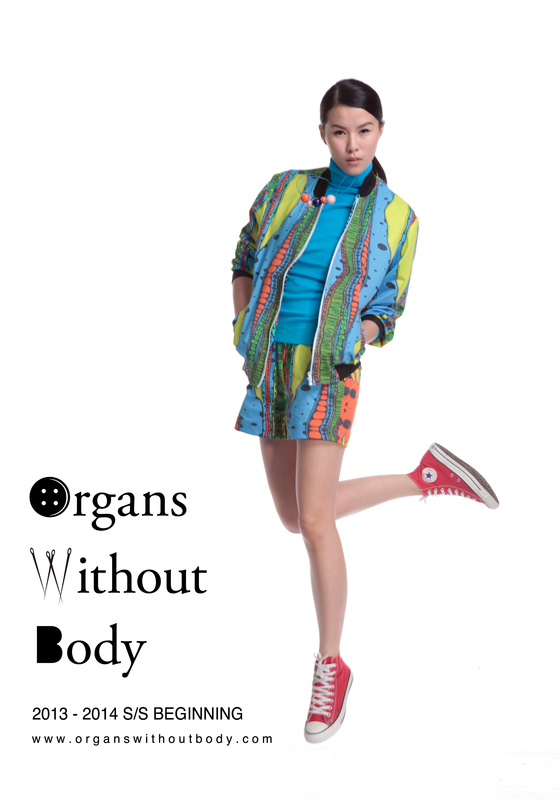 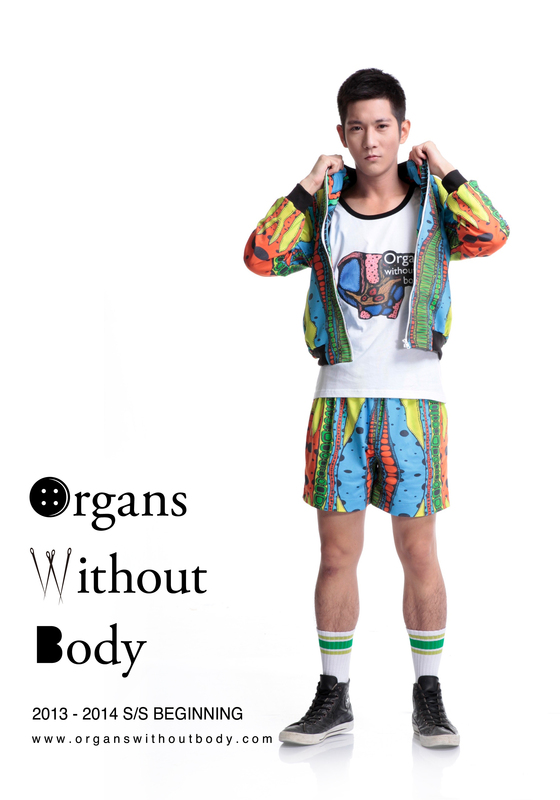 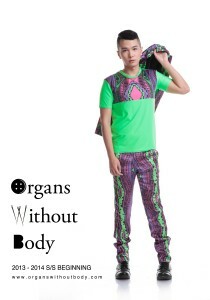 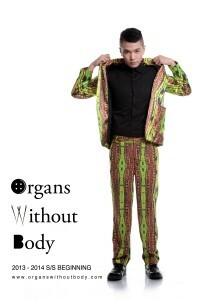 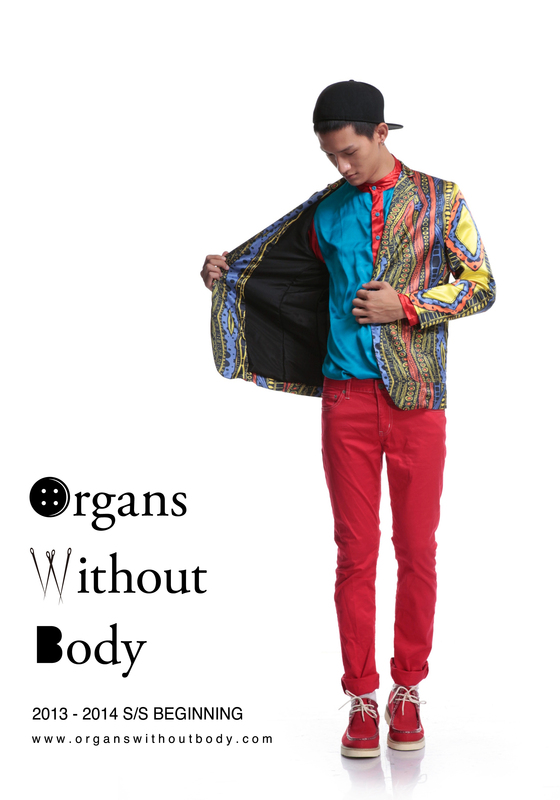 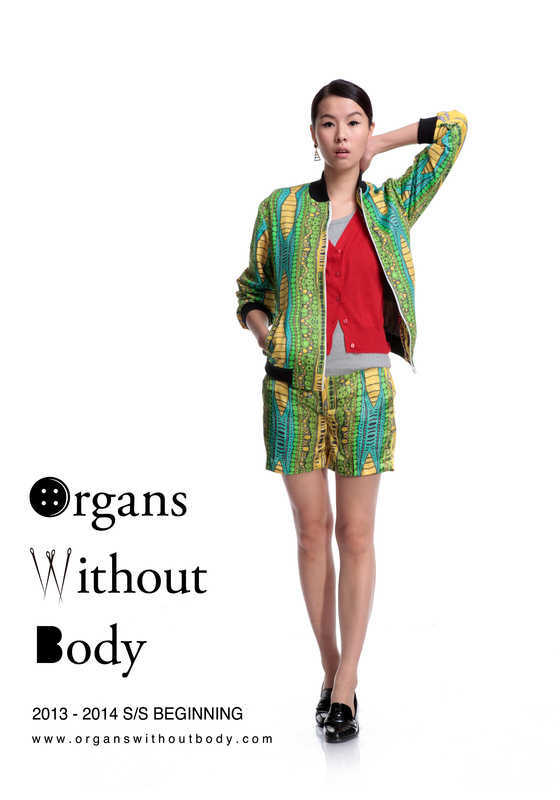 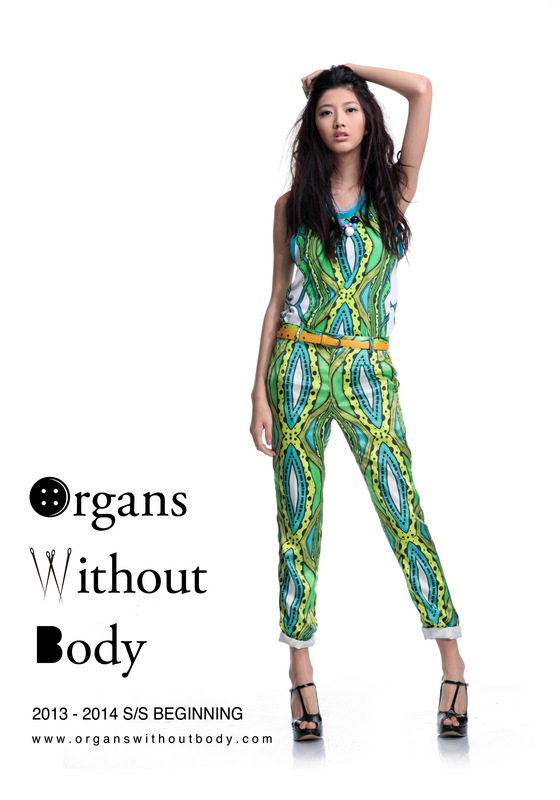 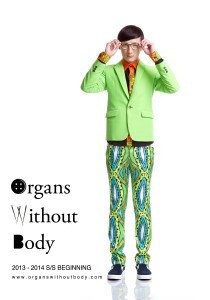 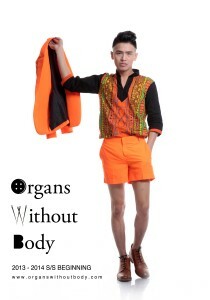 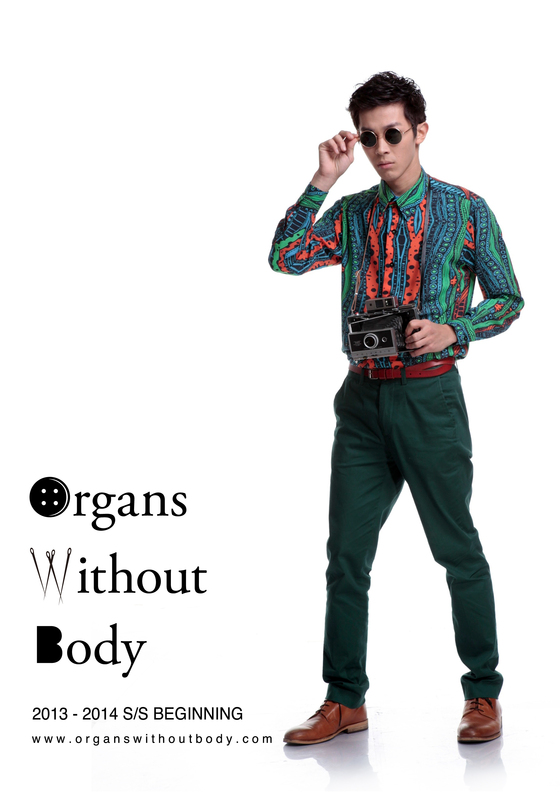 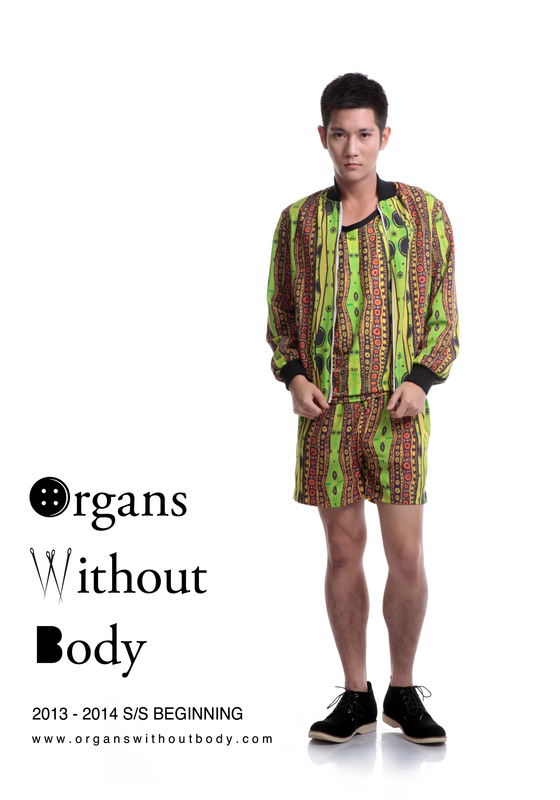 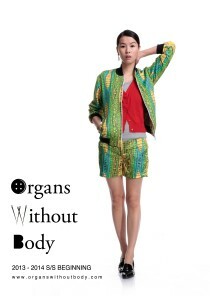 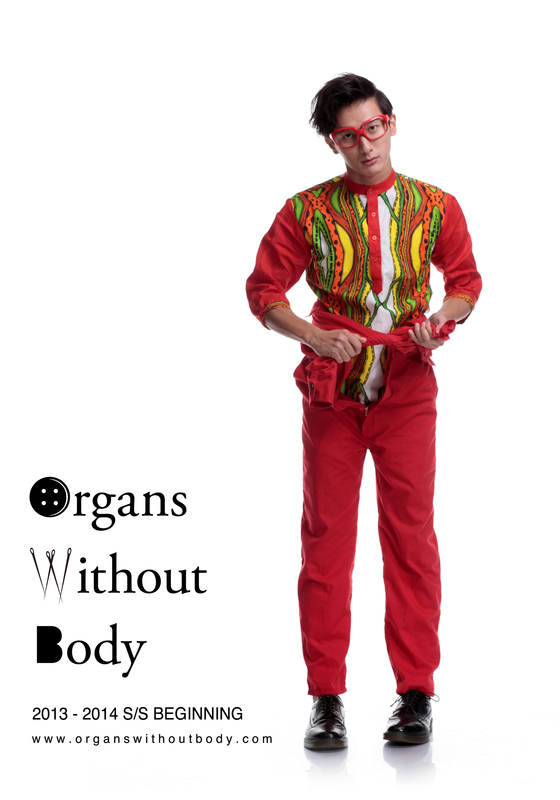 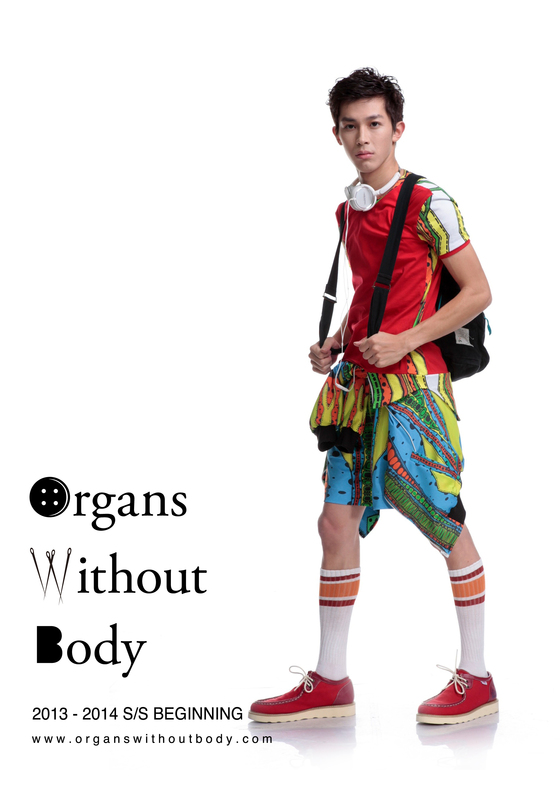 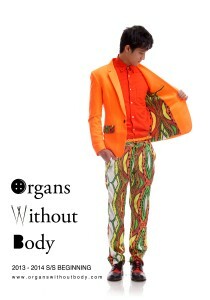 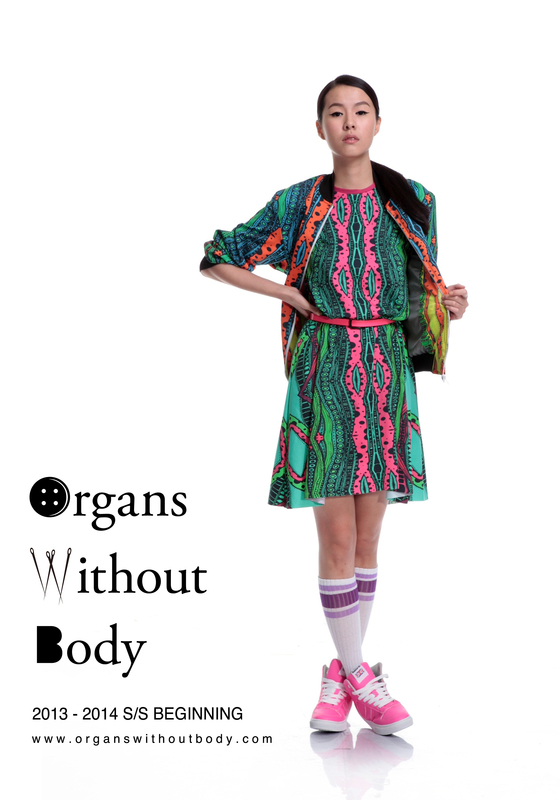 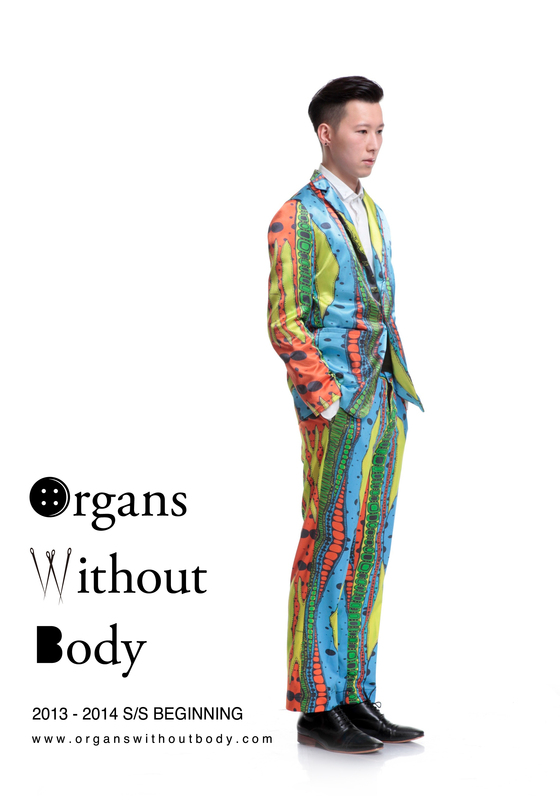 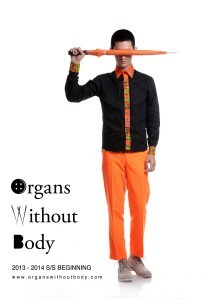 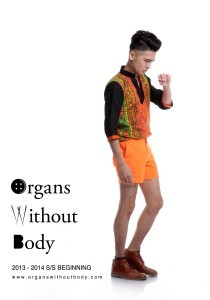 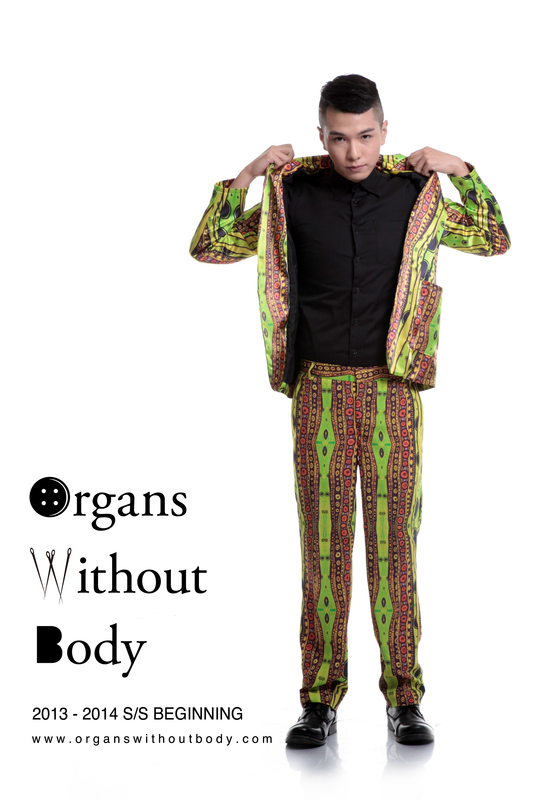 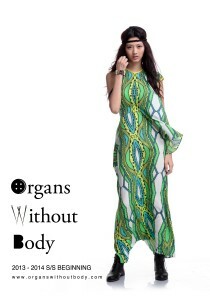 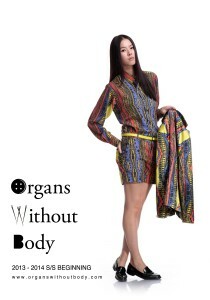 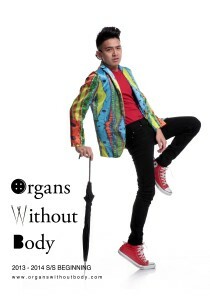 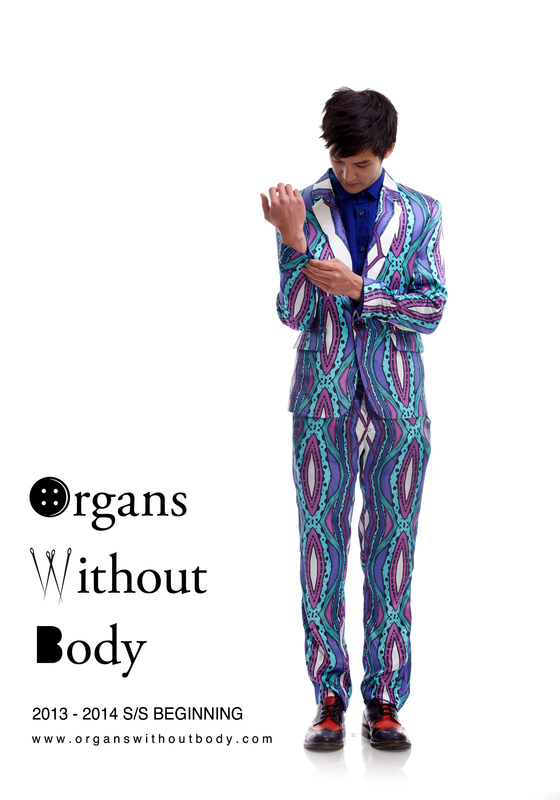 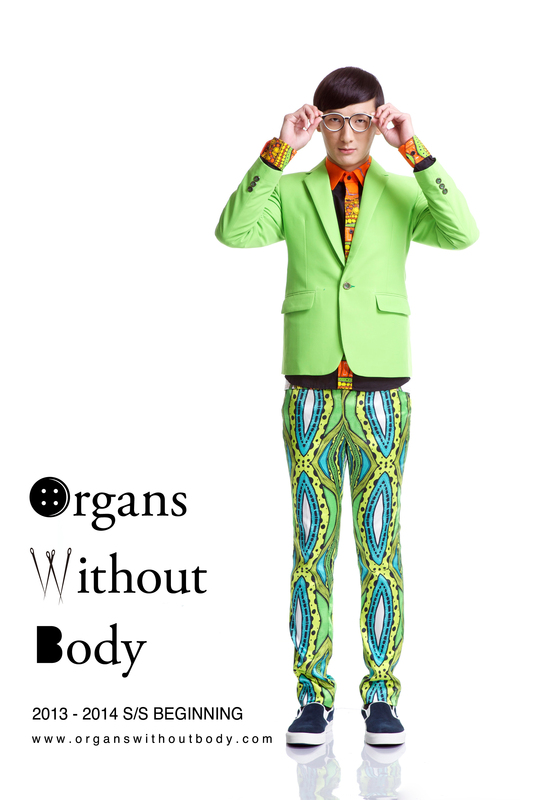 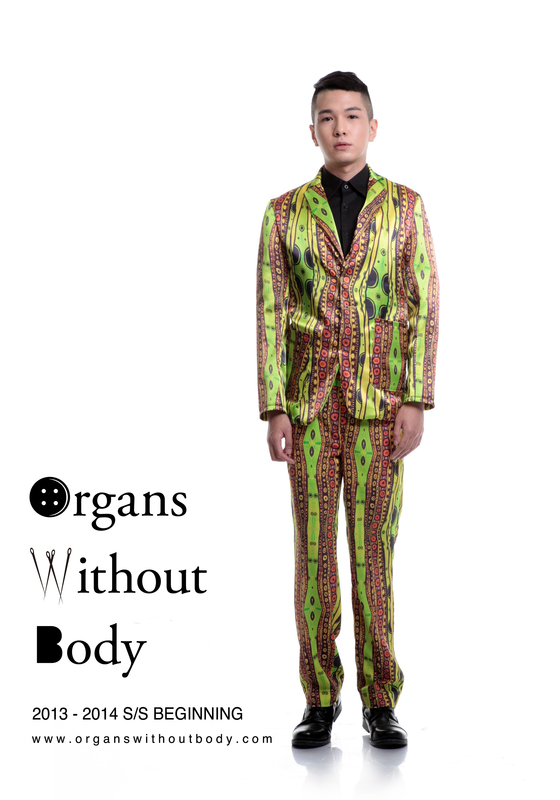 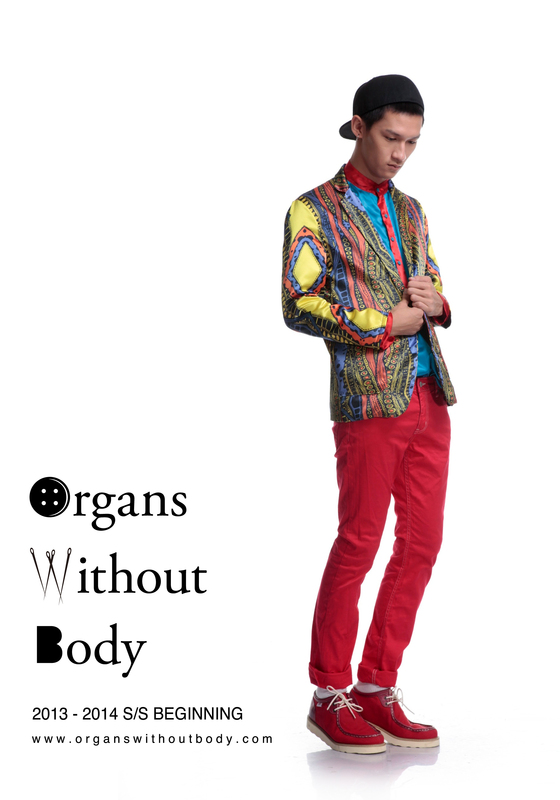 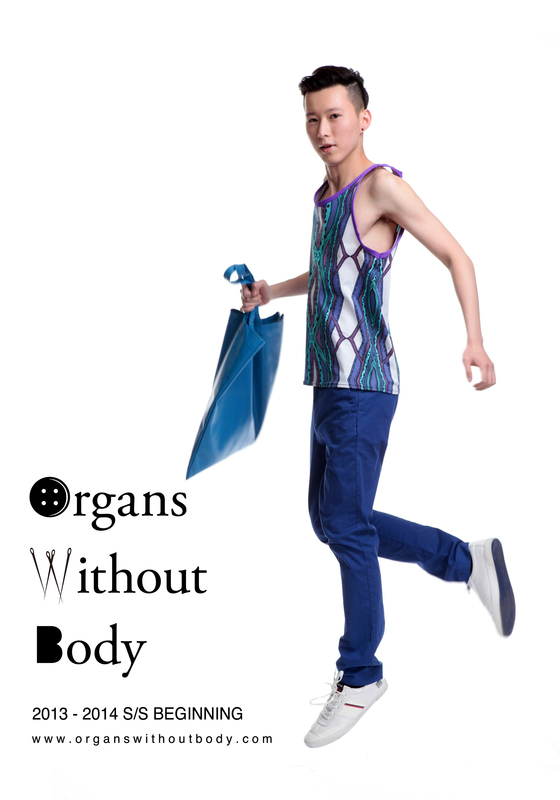 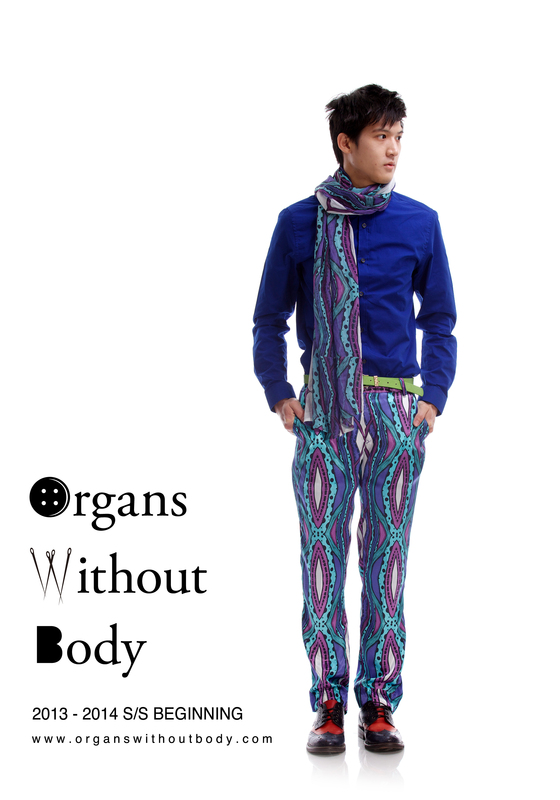 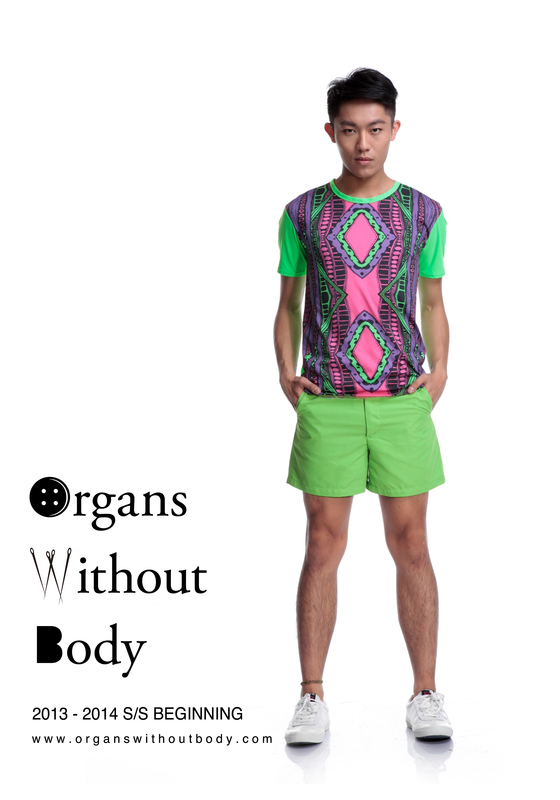 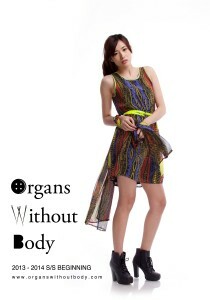 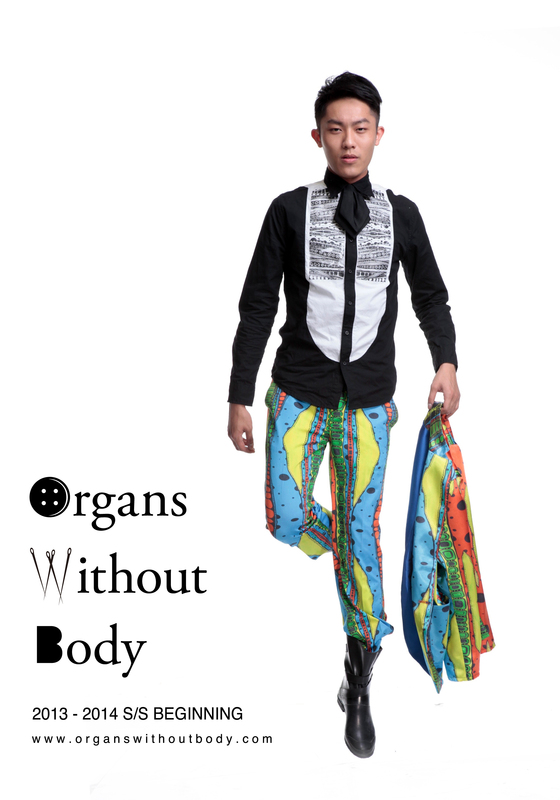 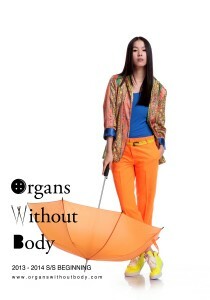 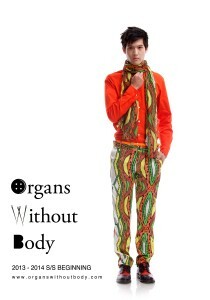 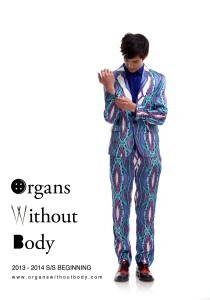 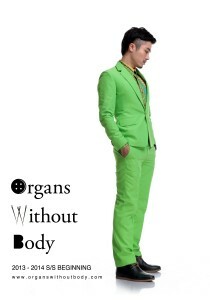 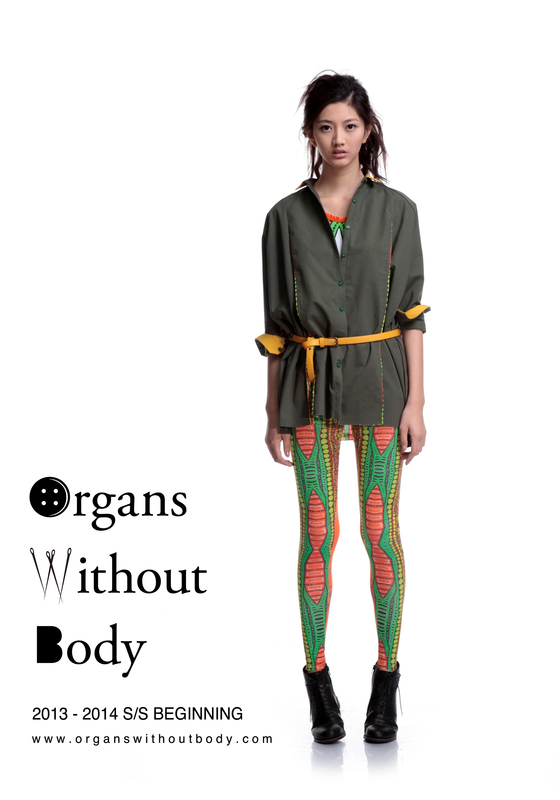 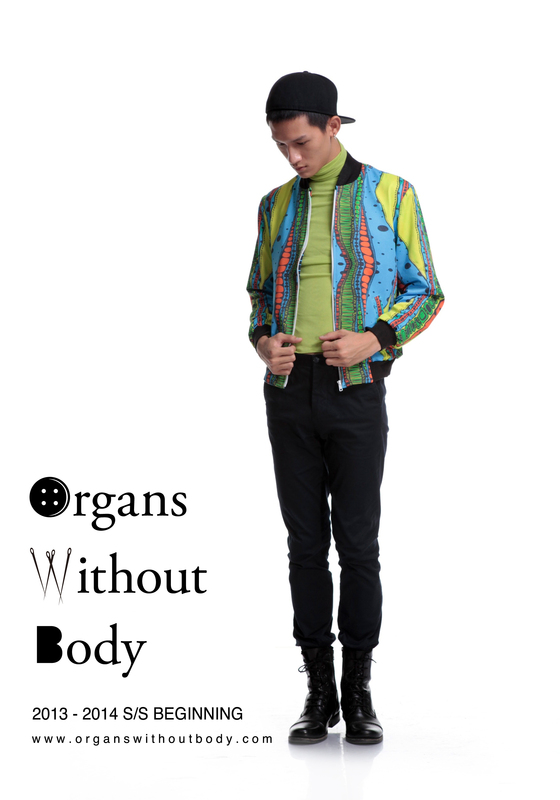 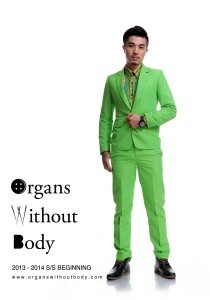 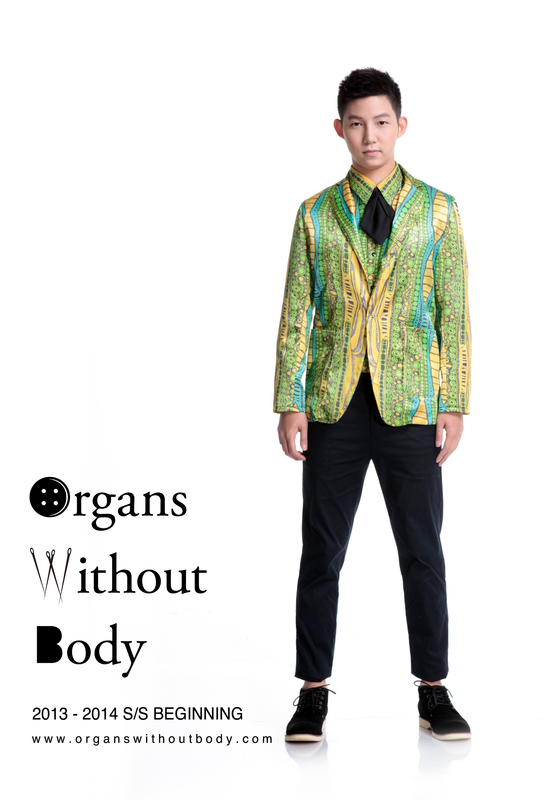 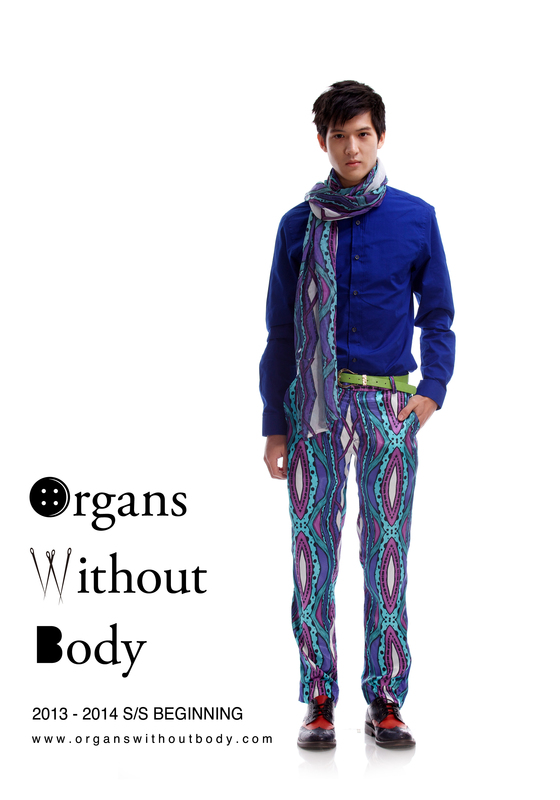 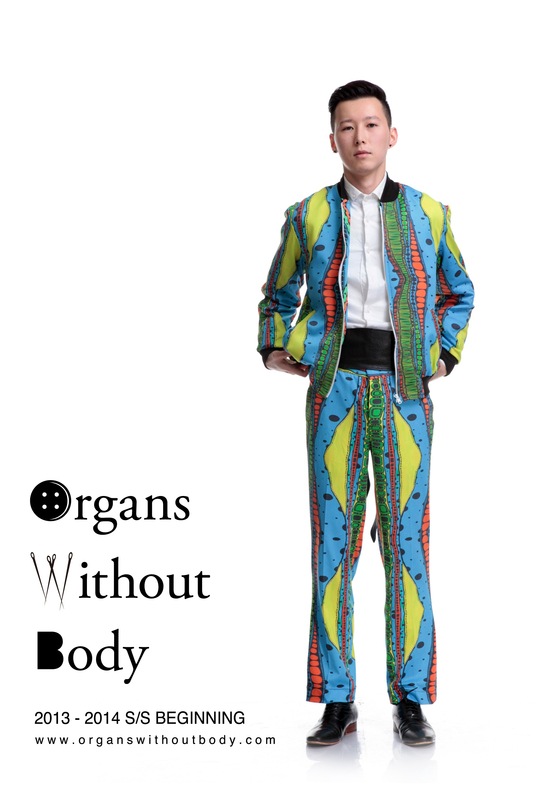 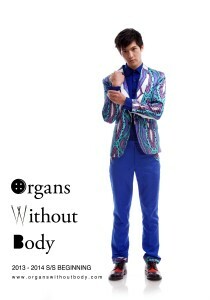 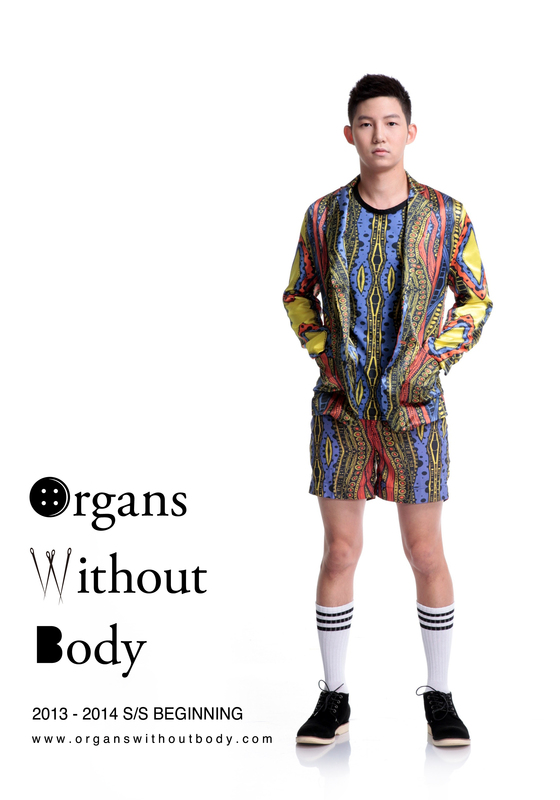 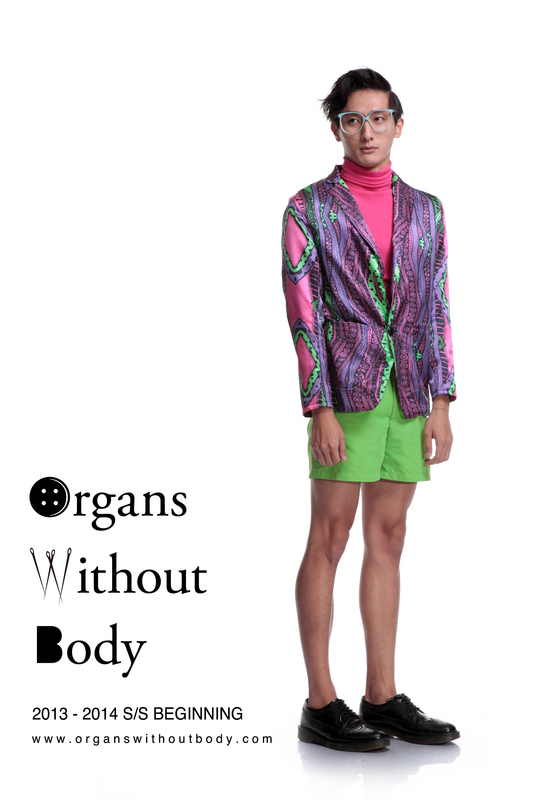 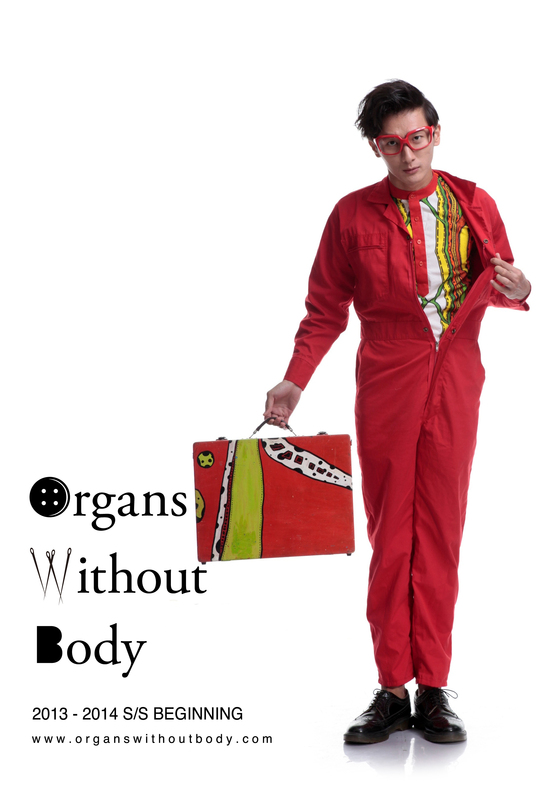 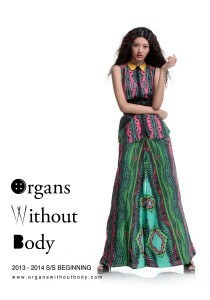 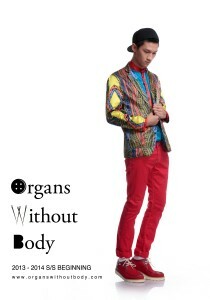 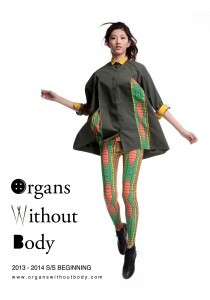 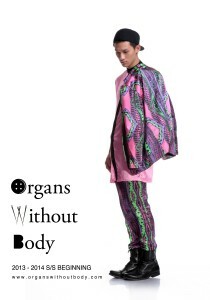 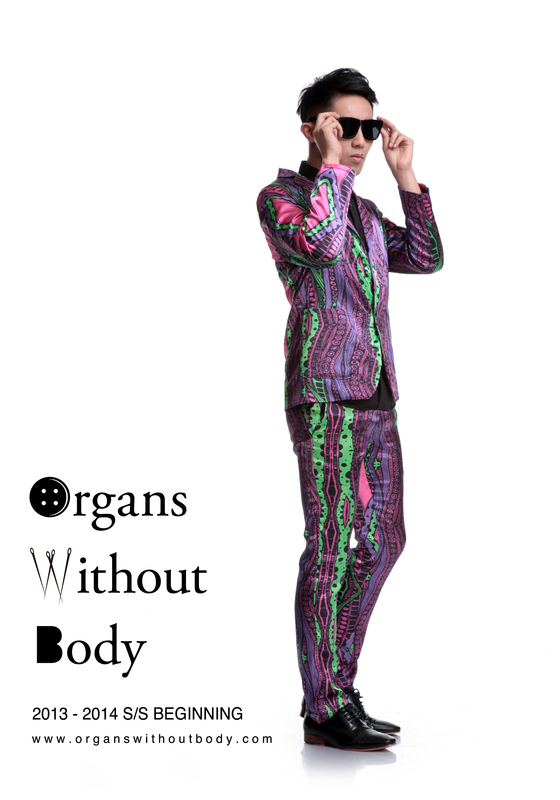 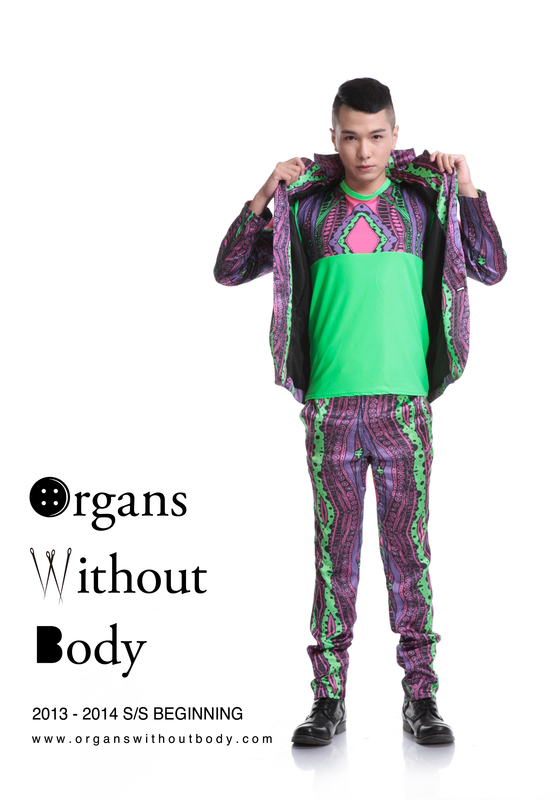 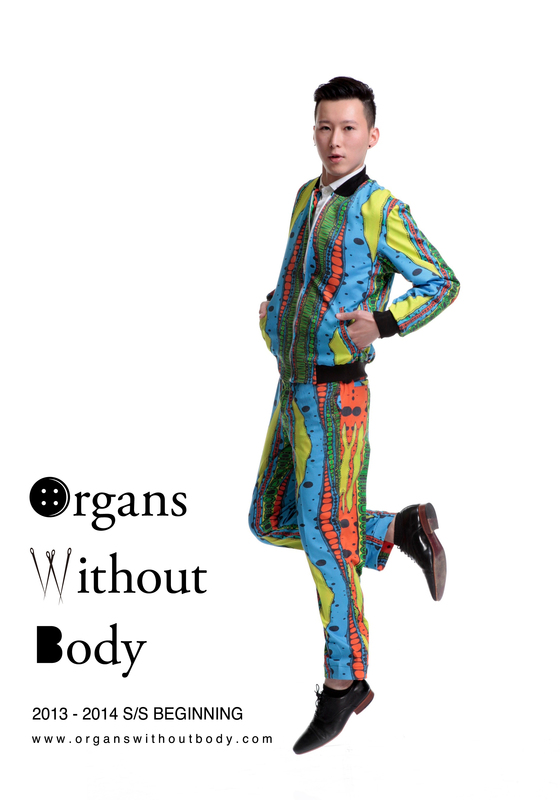 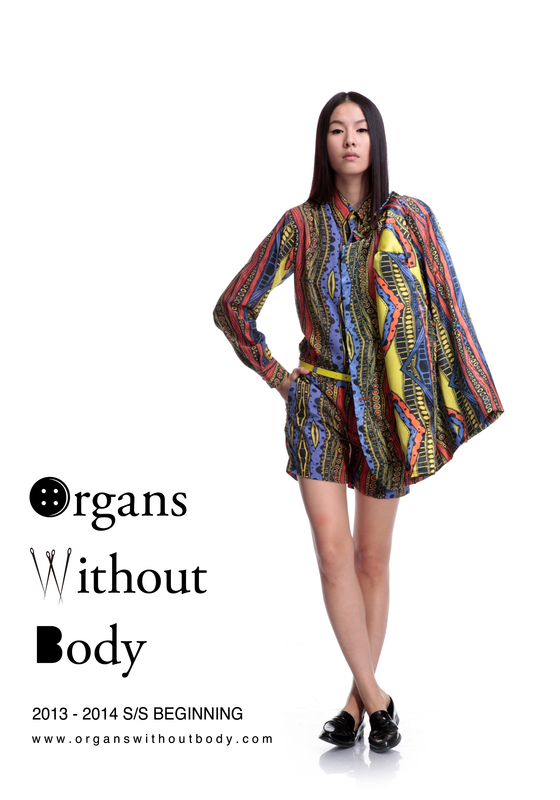 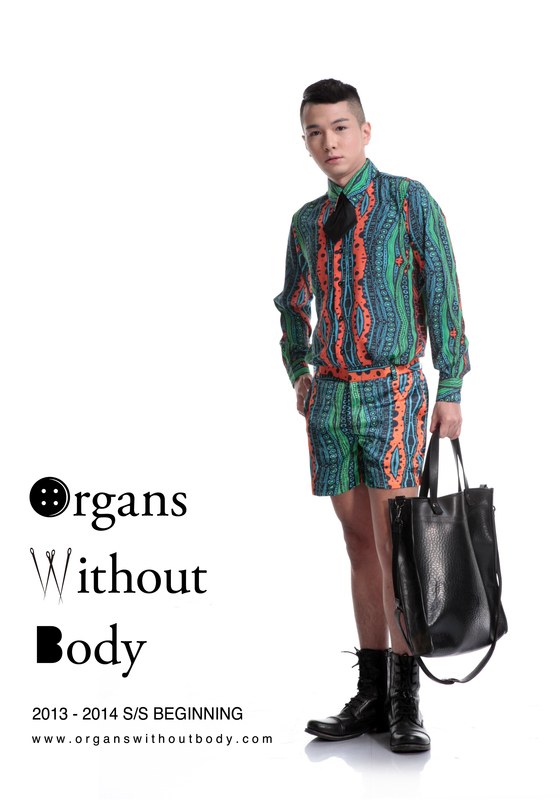 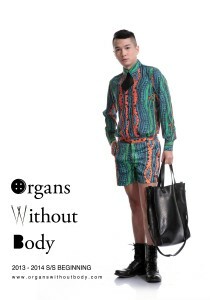 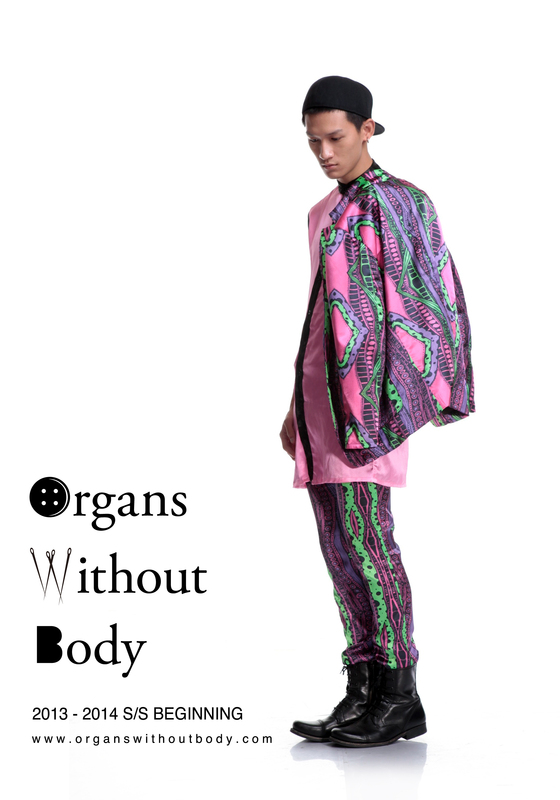 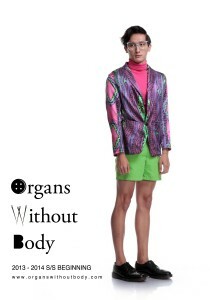 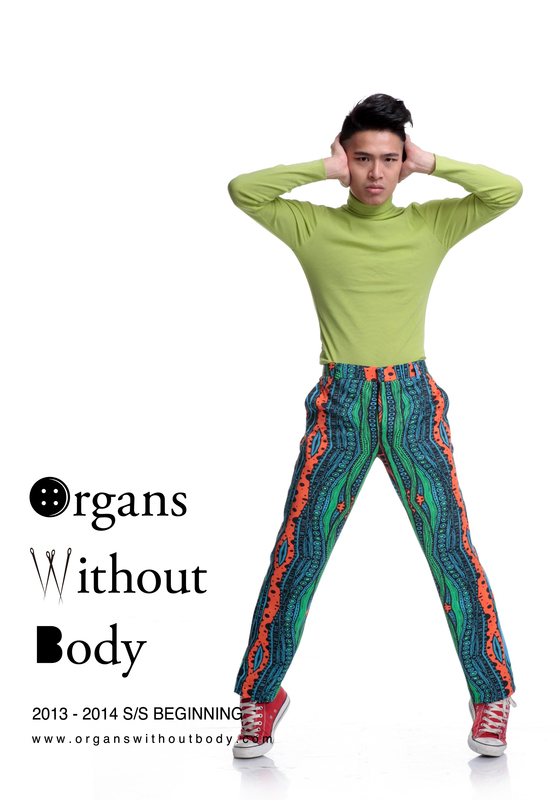 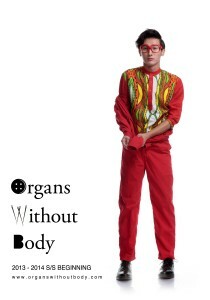 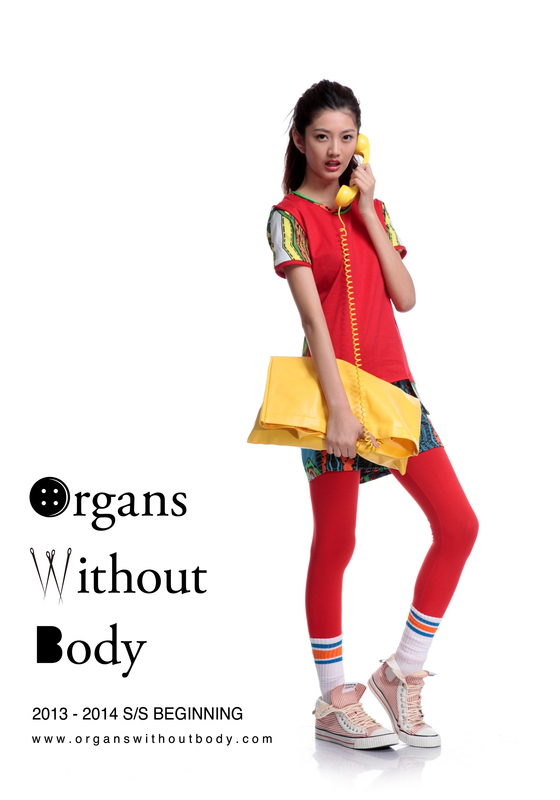 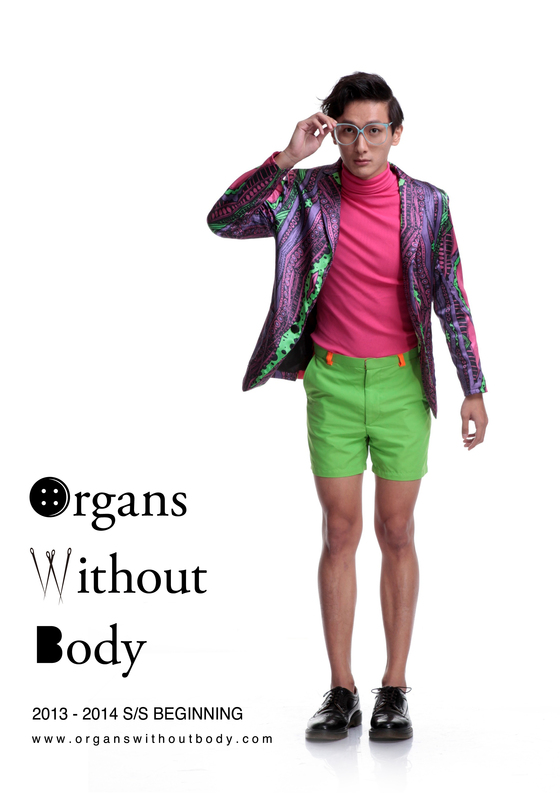 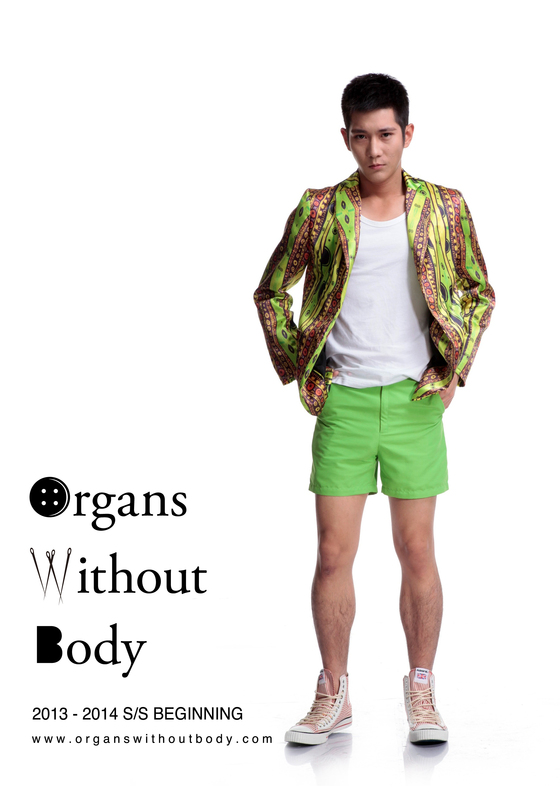 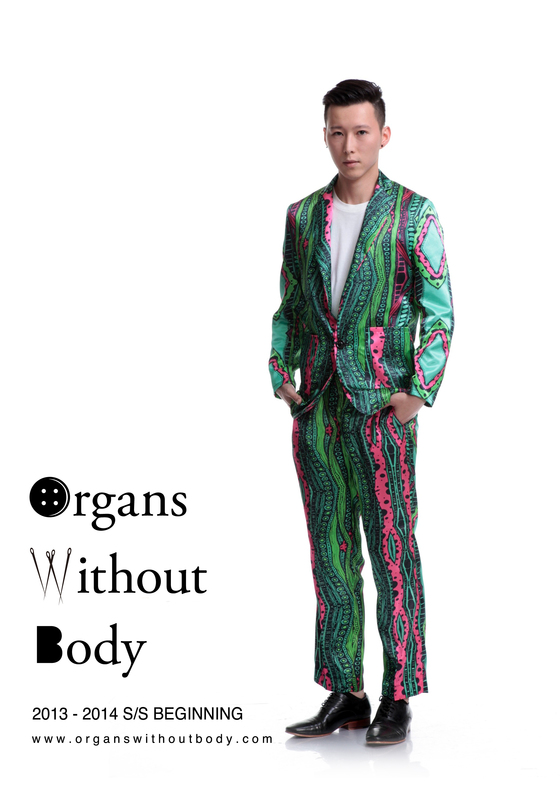 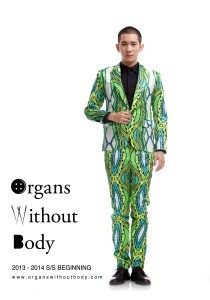 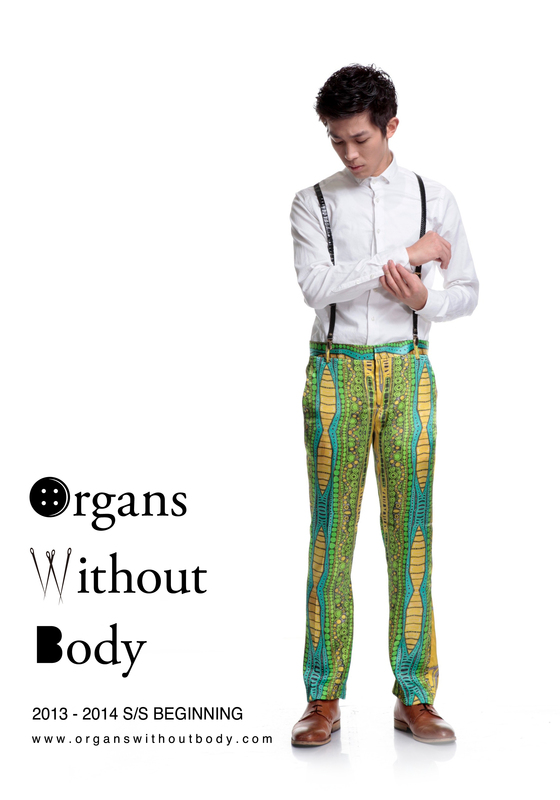 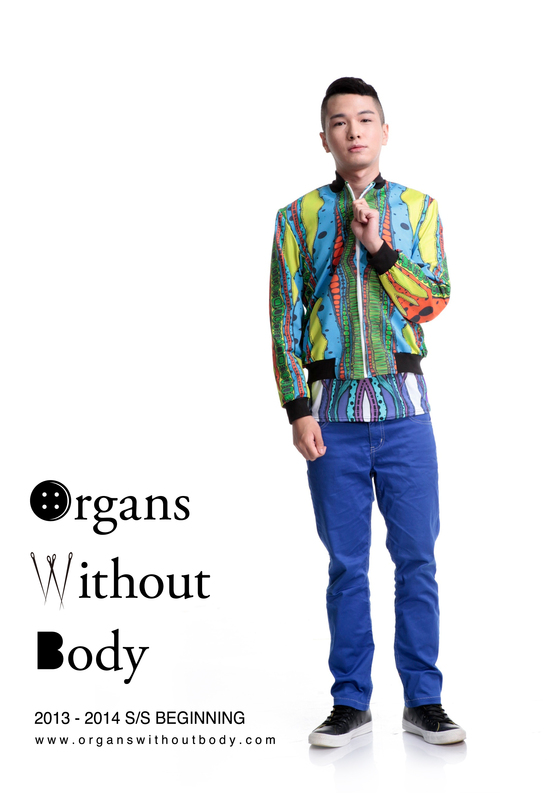 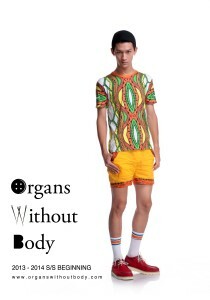 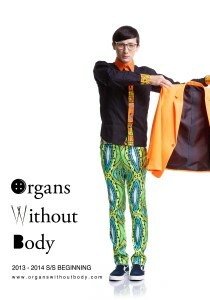 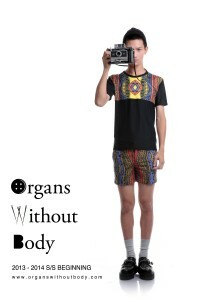 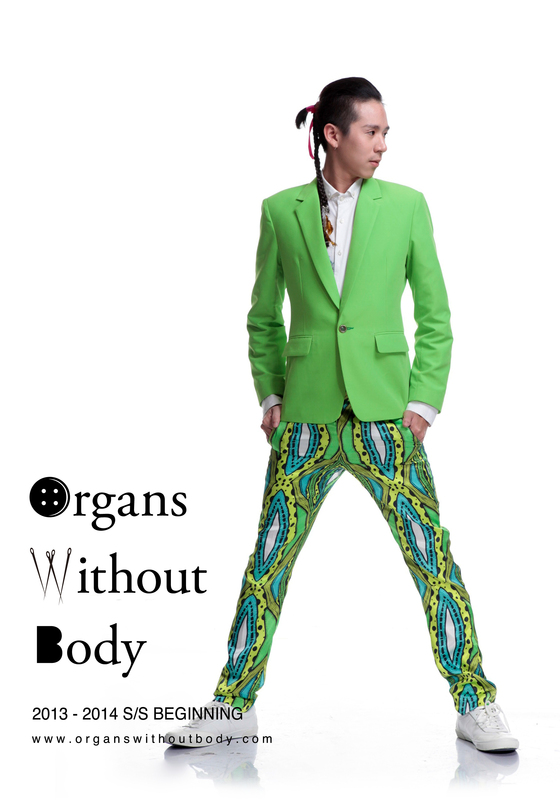 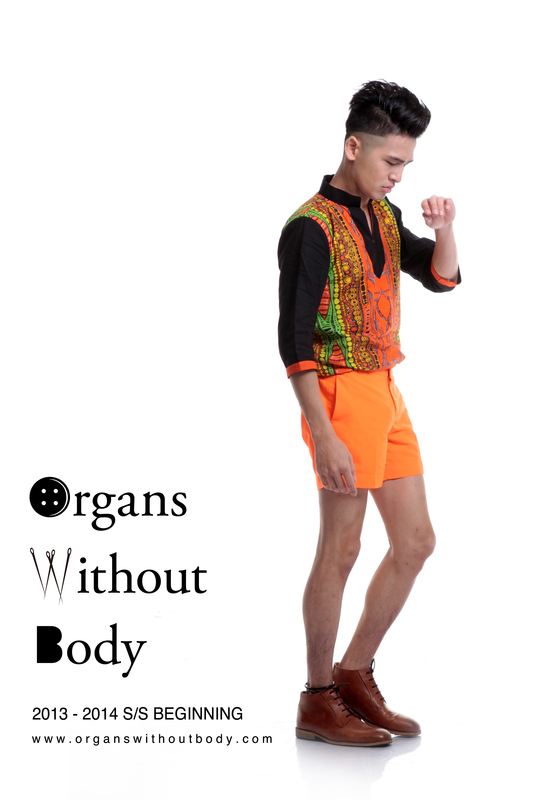 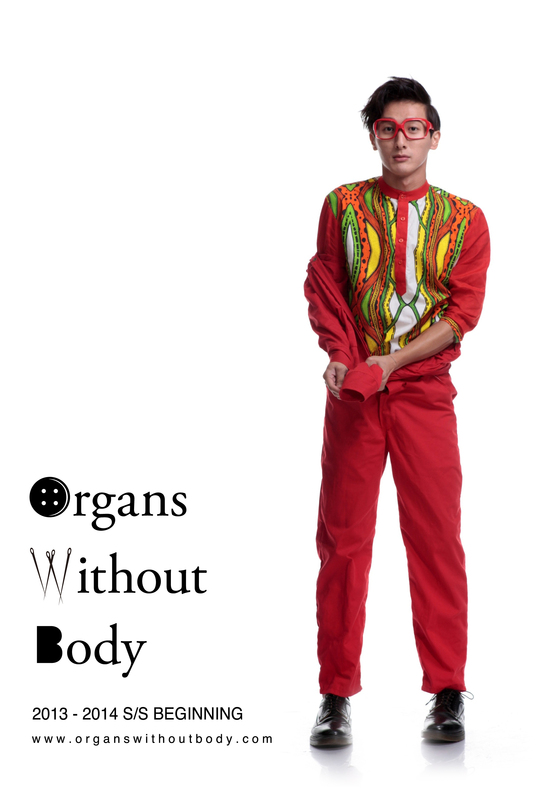 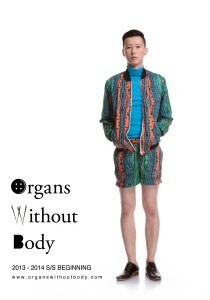 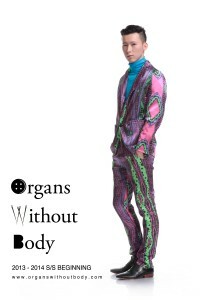 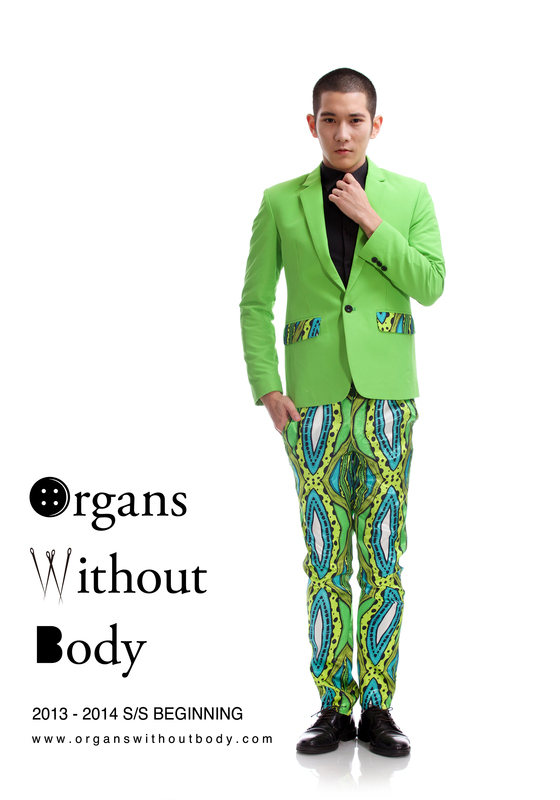 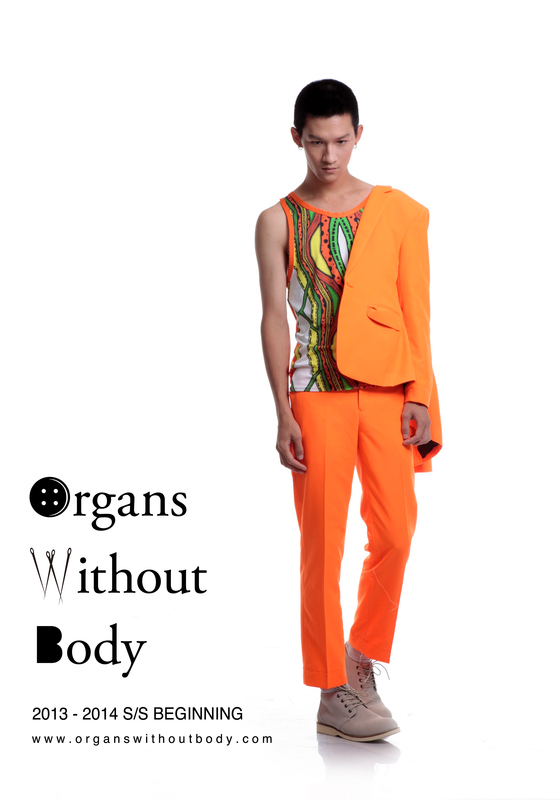 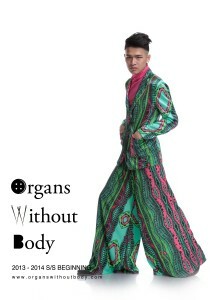 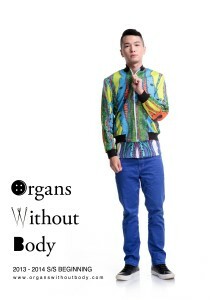 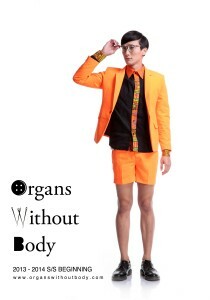 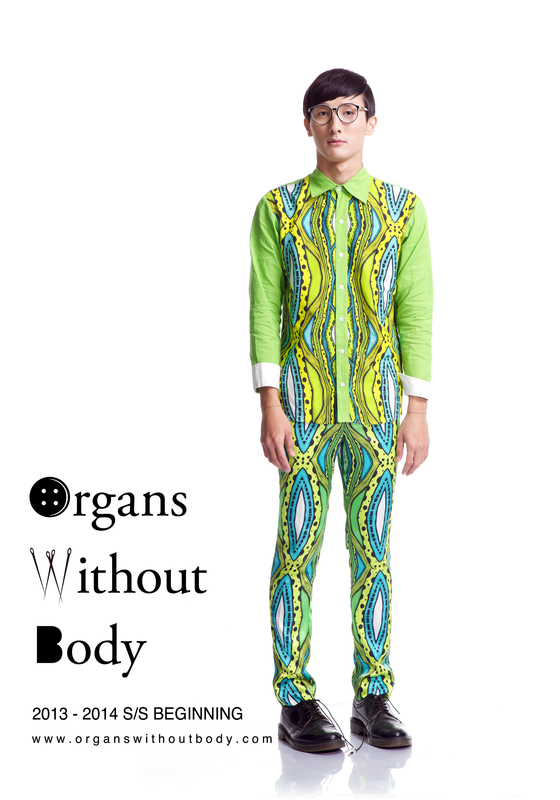 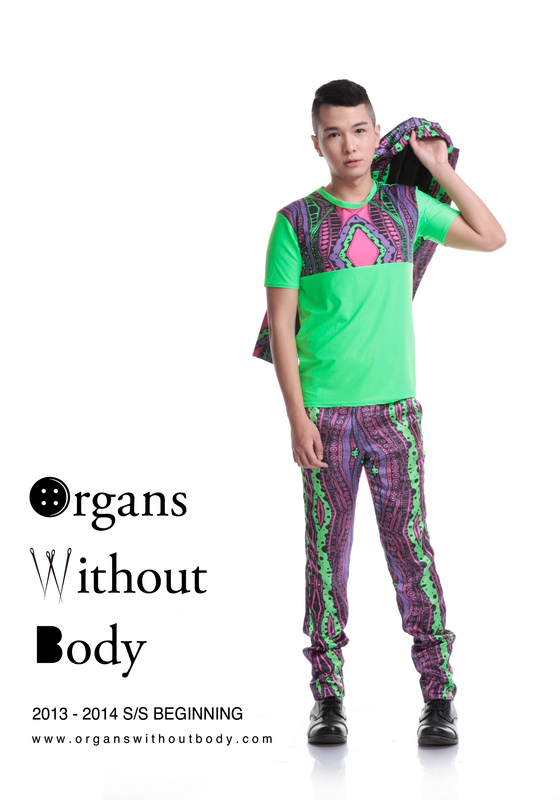 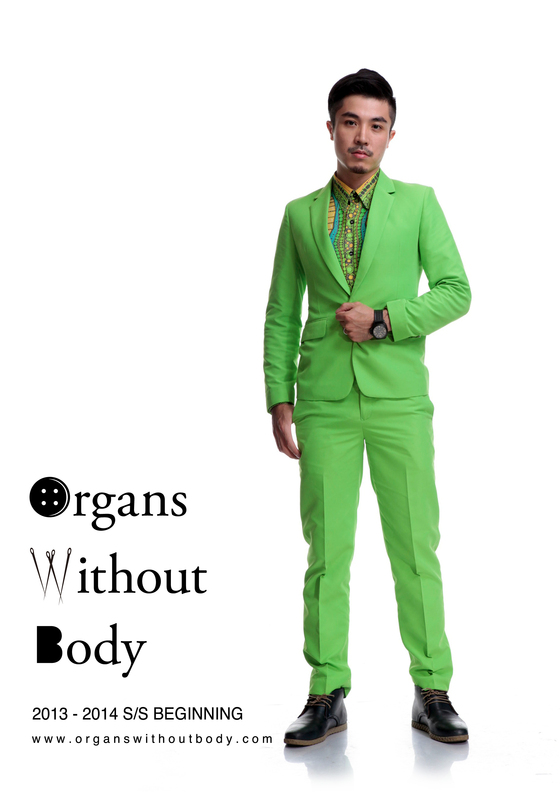 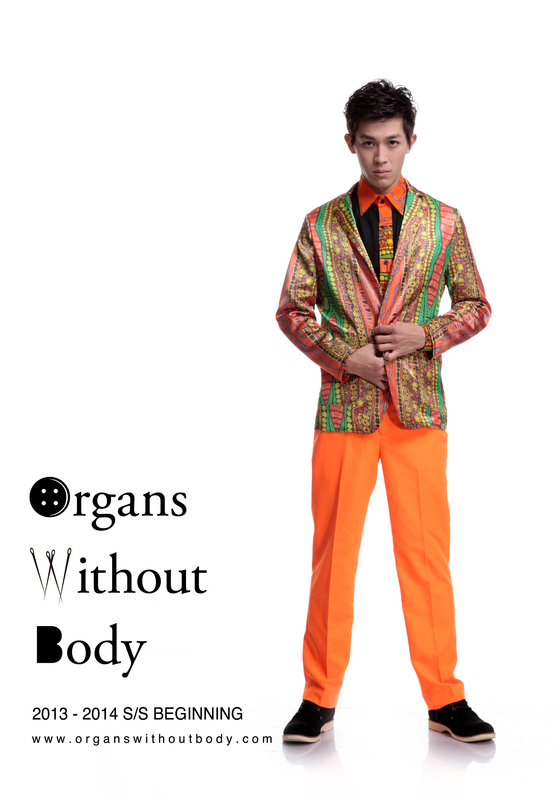 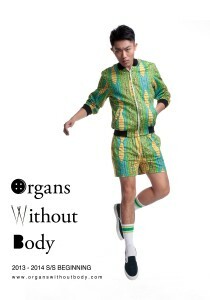 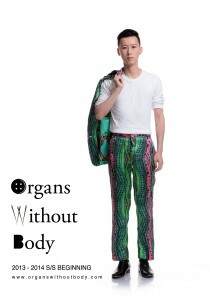 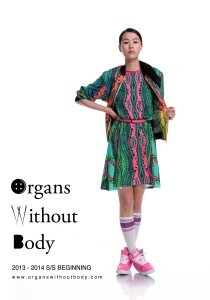 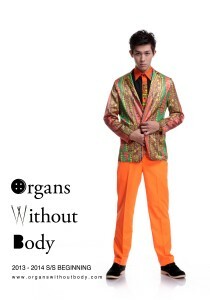 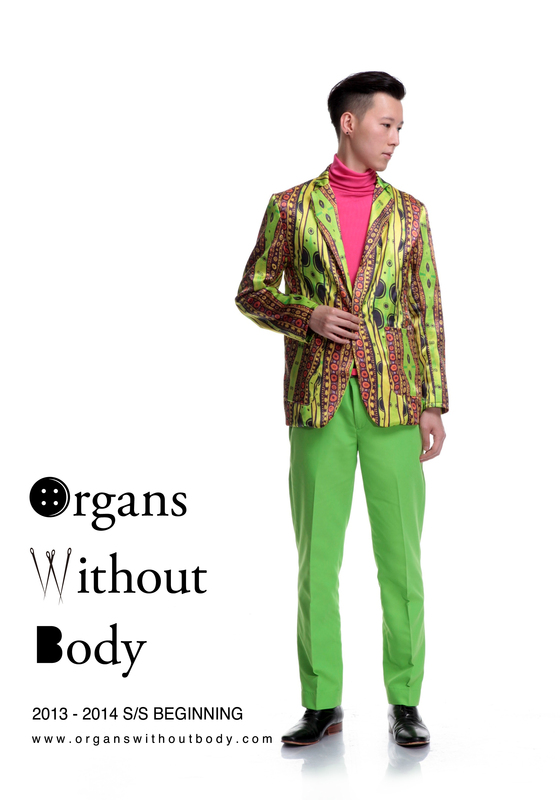 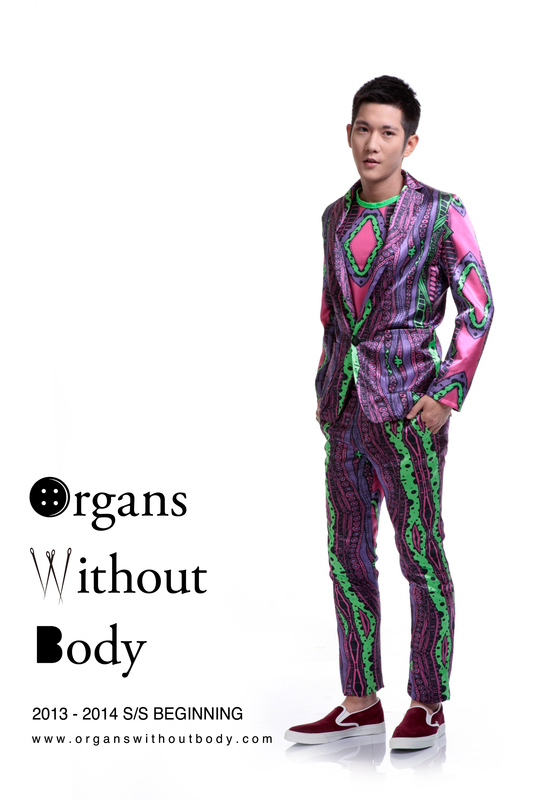 This series of garment like a body organ, body and spirit through dress and image vocabulary continue. Dominate the screen and color from the emotional to the rational so that the「point, line and plane」a return to a pure organic world, a life, a form of sustainable growth; from the cell to the organization, from the organization to the organ from the organ to the system , and finally turned into a full body. 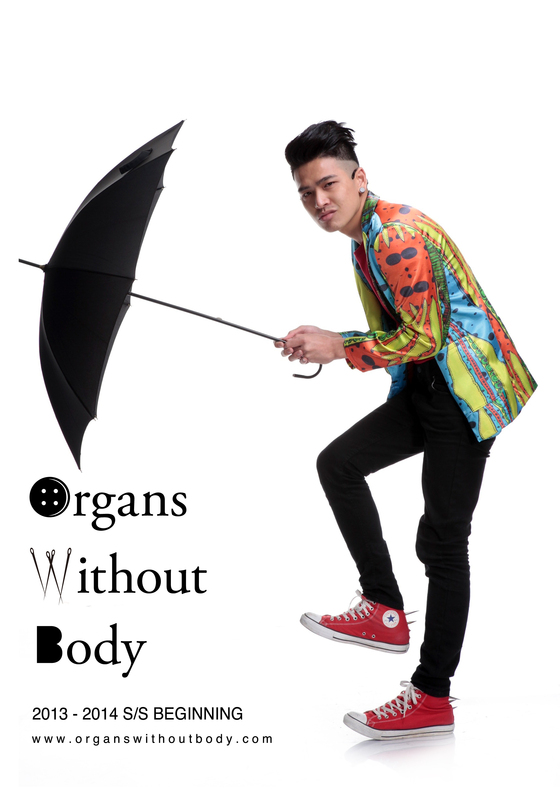 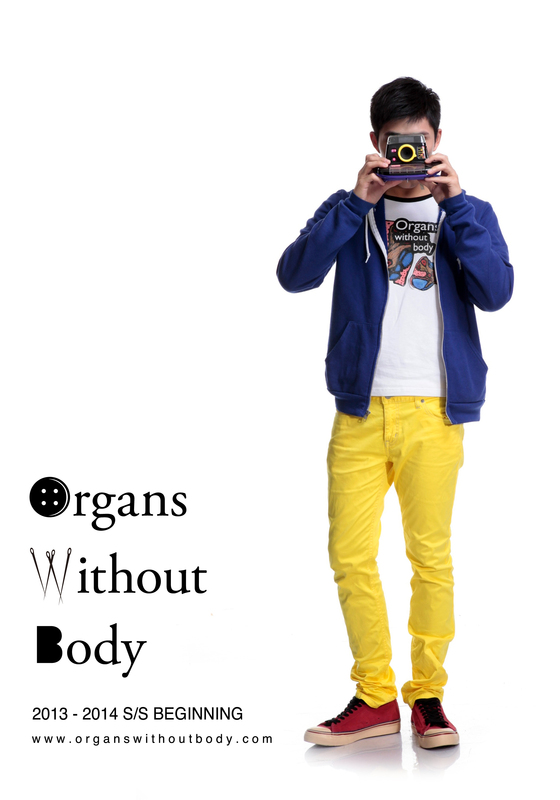 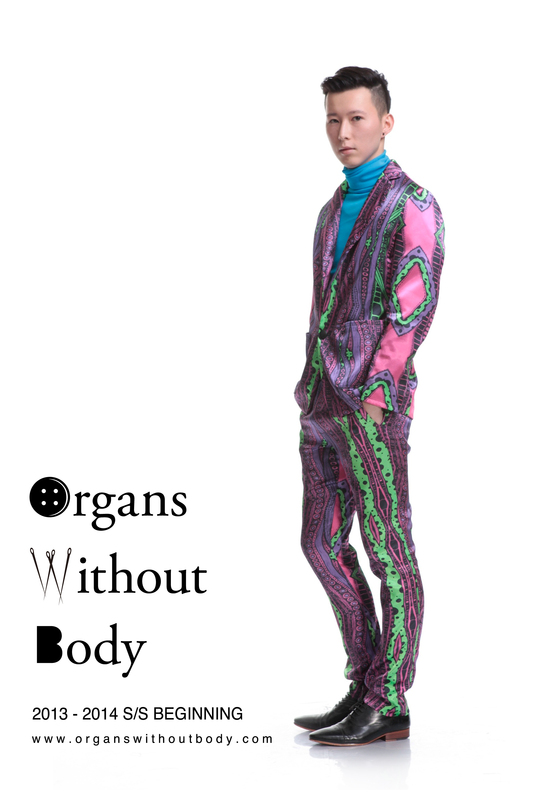 Copyright Organs without Body 2016 All Rights Reserved. Web Design by Freedom Men Art & Design.